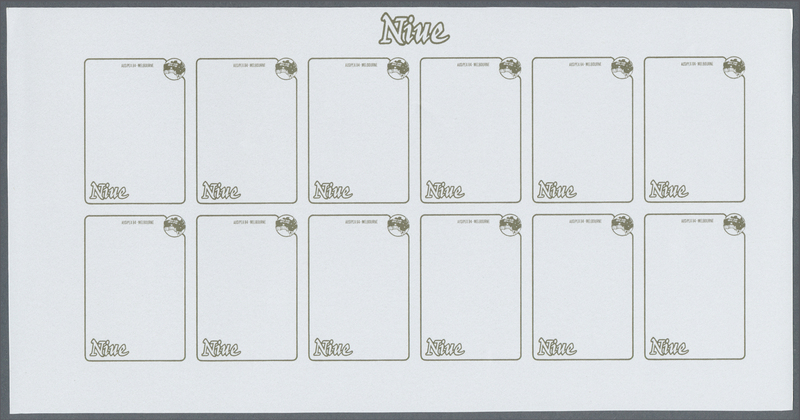 33677 1900/2005 (ca. 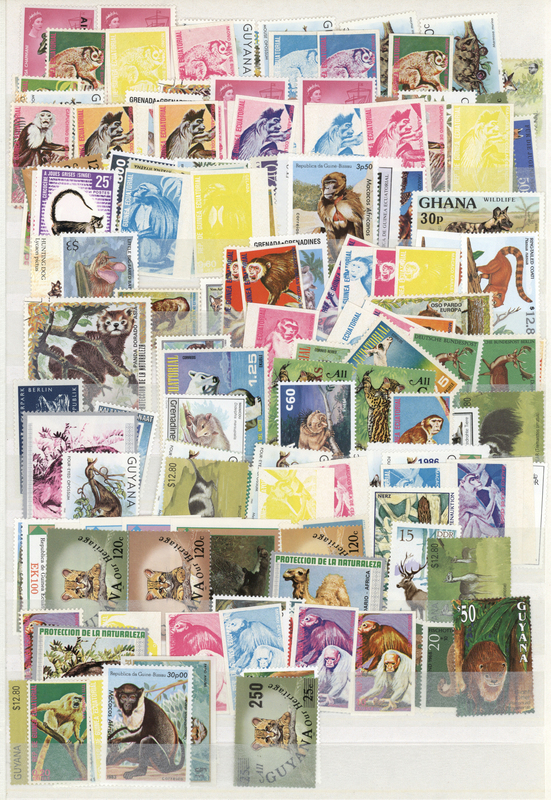 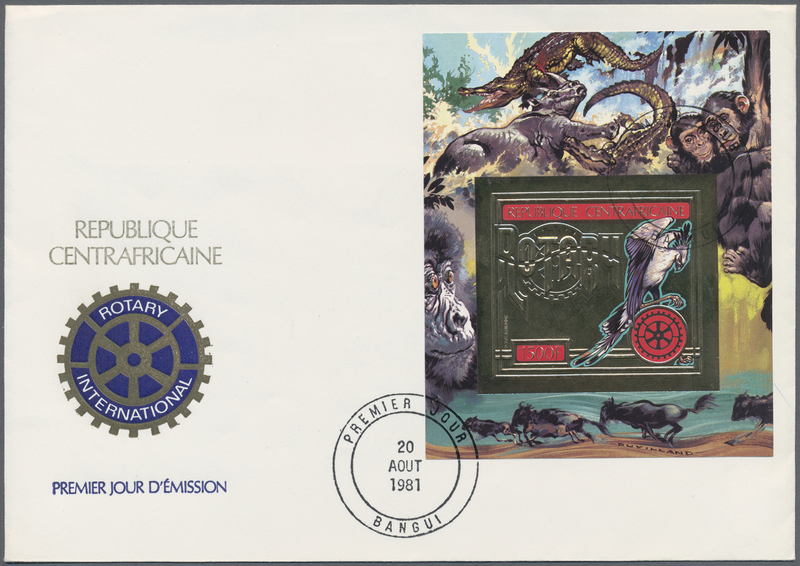 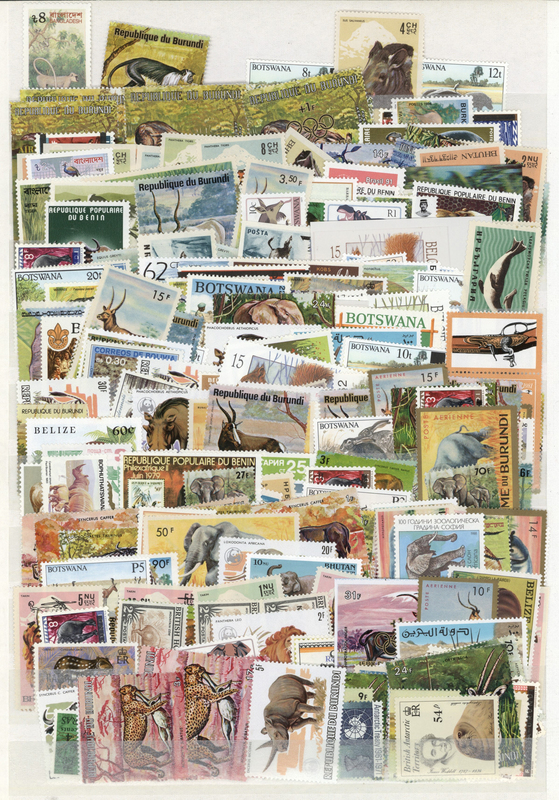 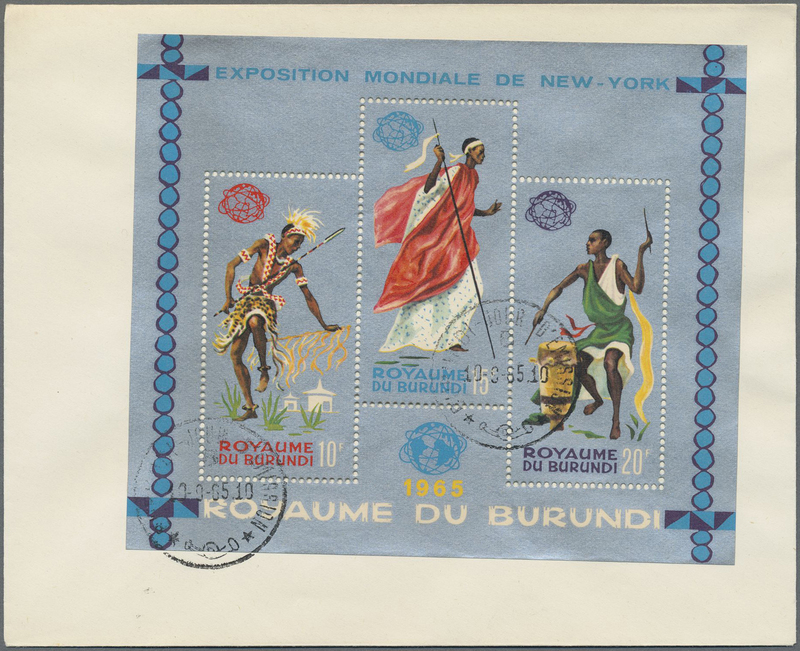 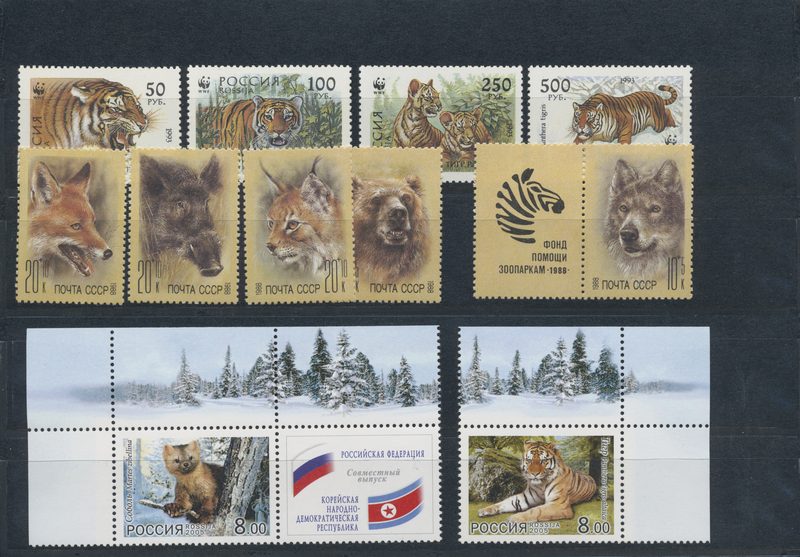 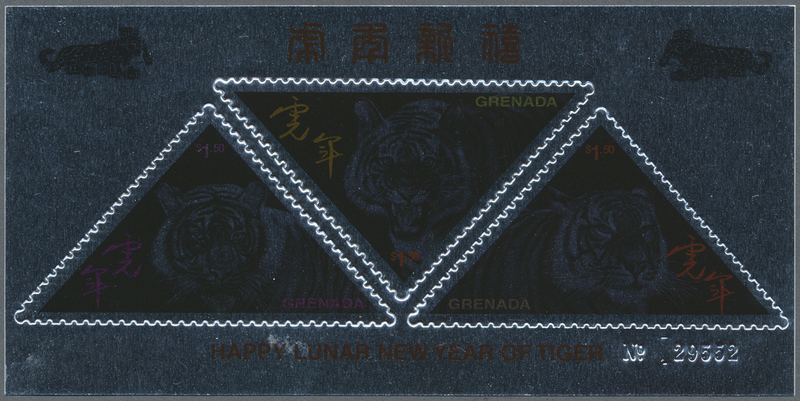 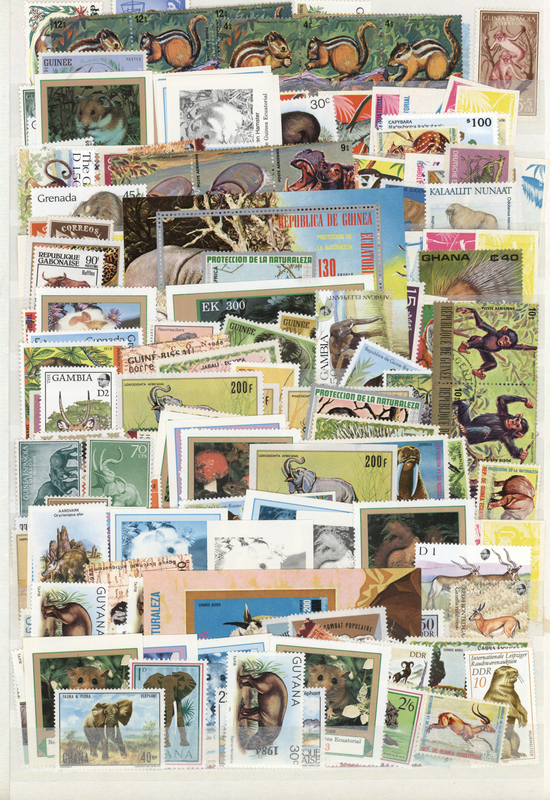 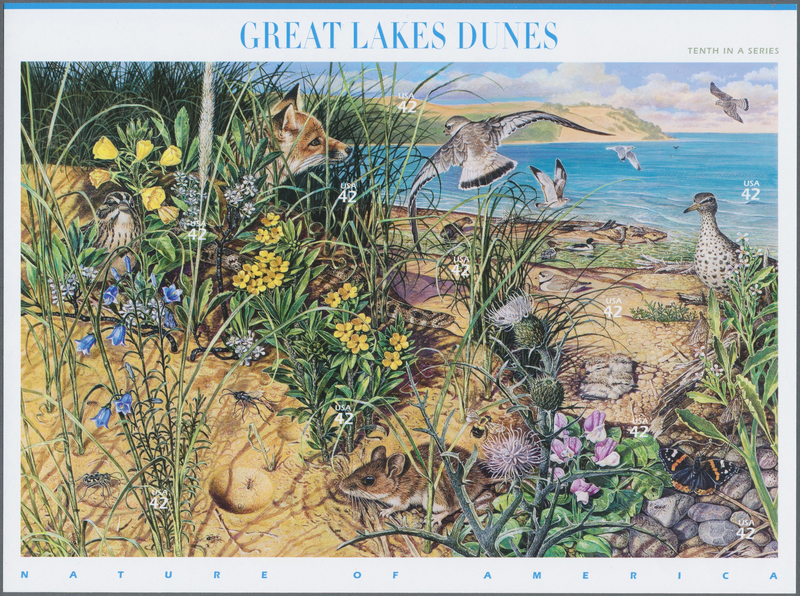 ), ANIMALS, FAUNA, WWF, extensive thematic selection in 13 big ring binders, mainly MNH from all over the world, with many complete sets, furthermore souvenir-sheets and minature sheets from old to new as well as many WWF FDCs and maximum cards. 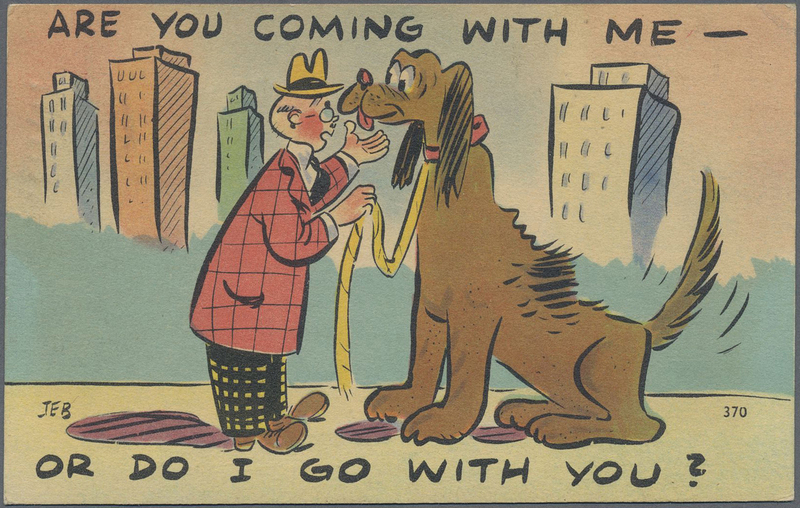 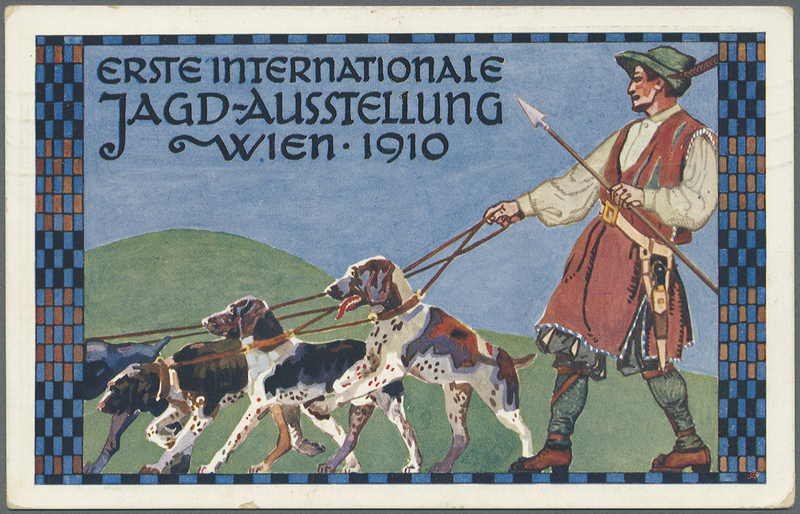 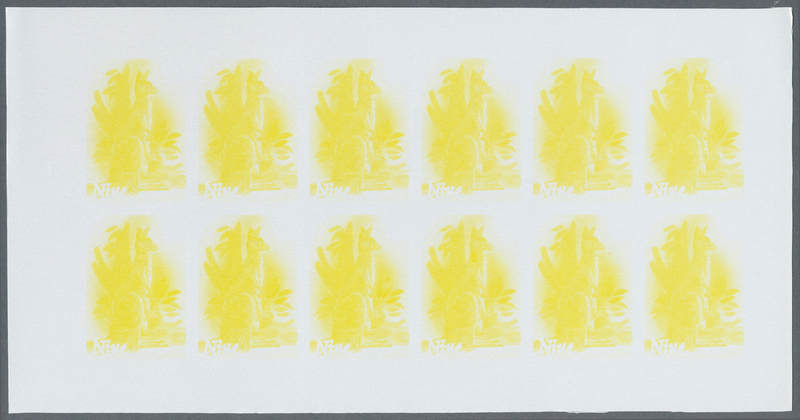 33681 1940/2005 (ca. 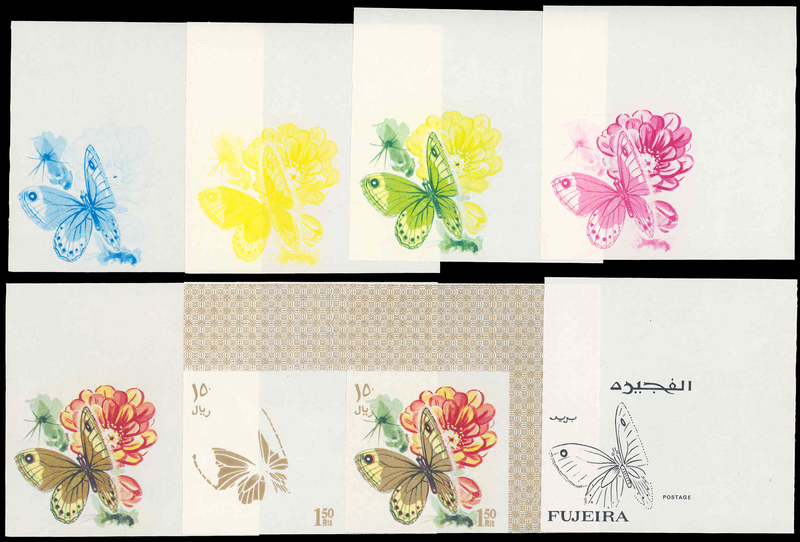 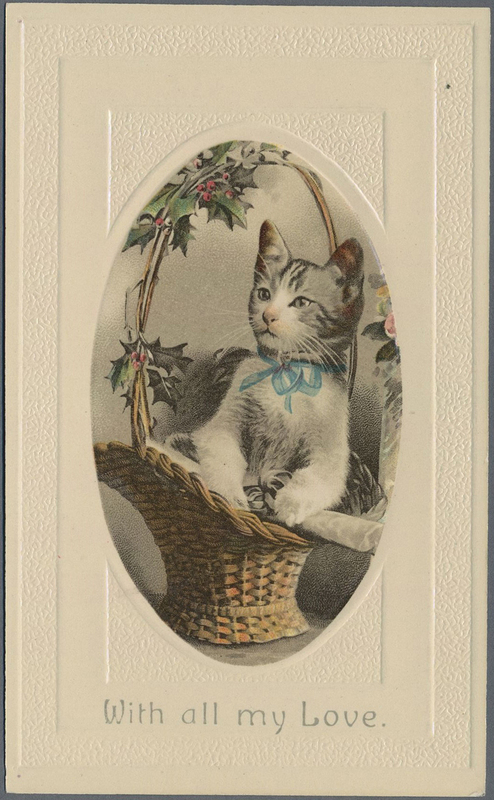 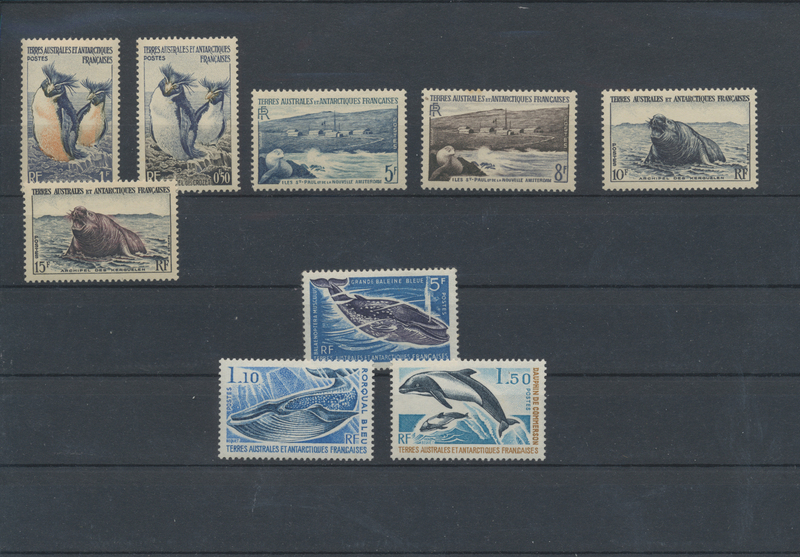 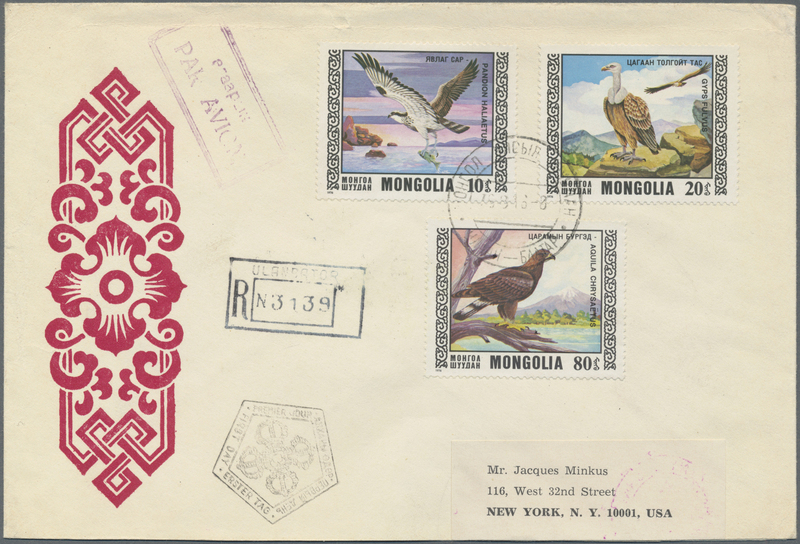 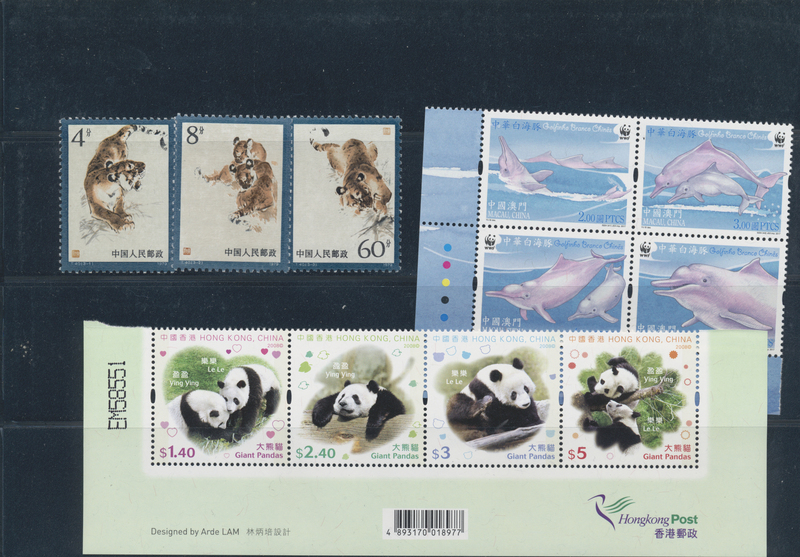 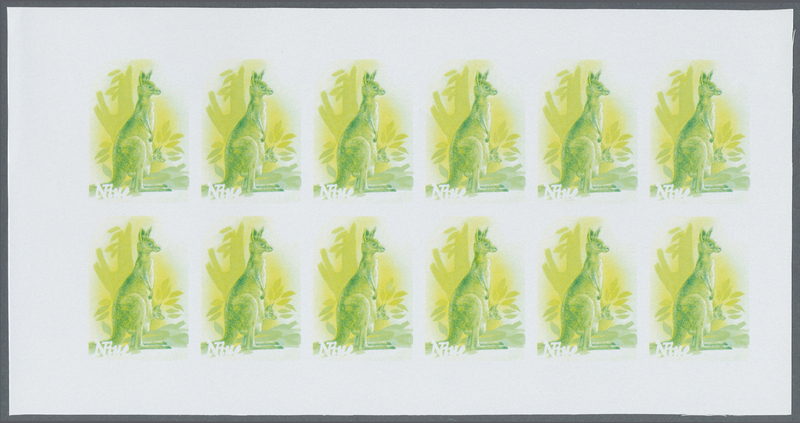 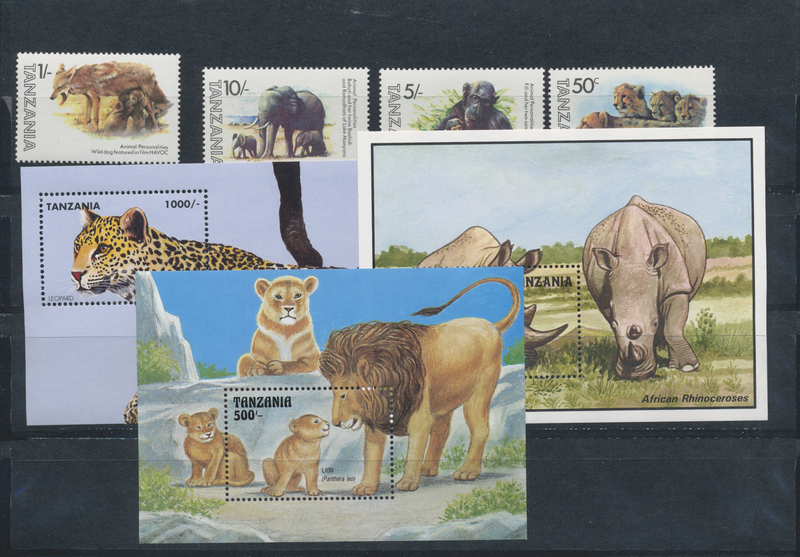 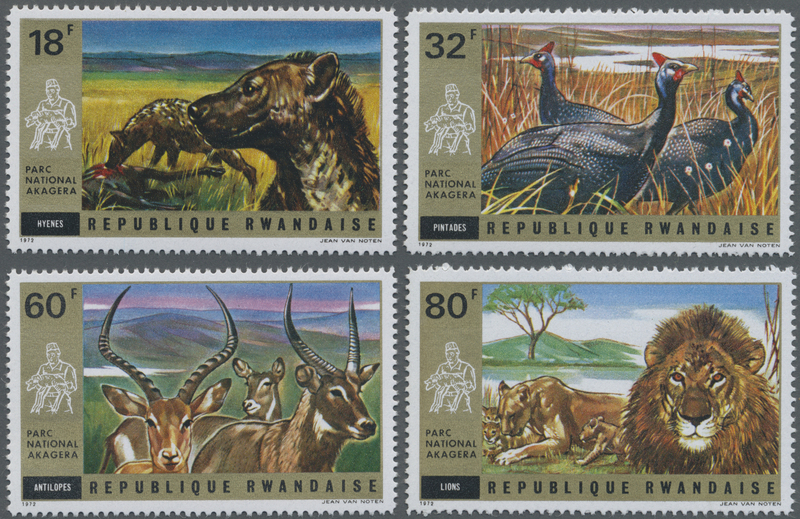 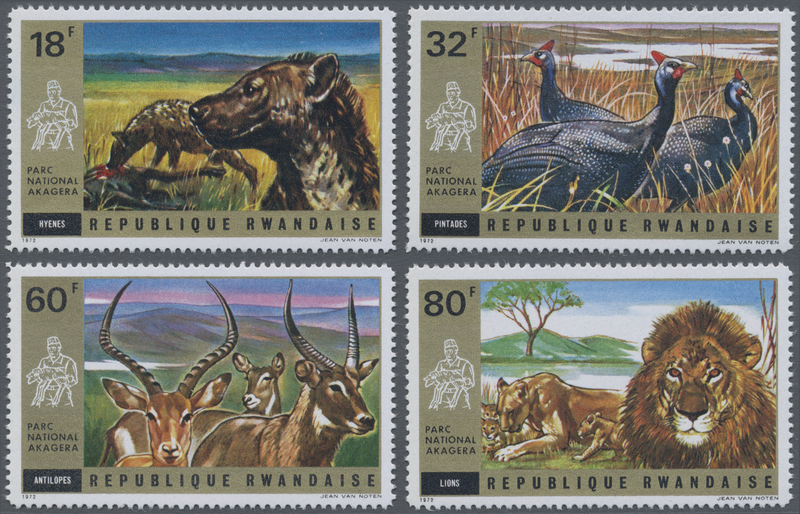 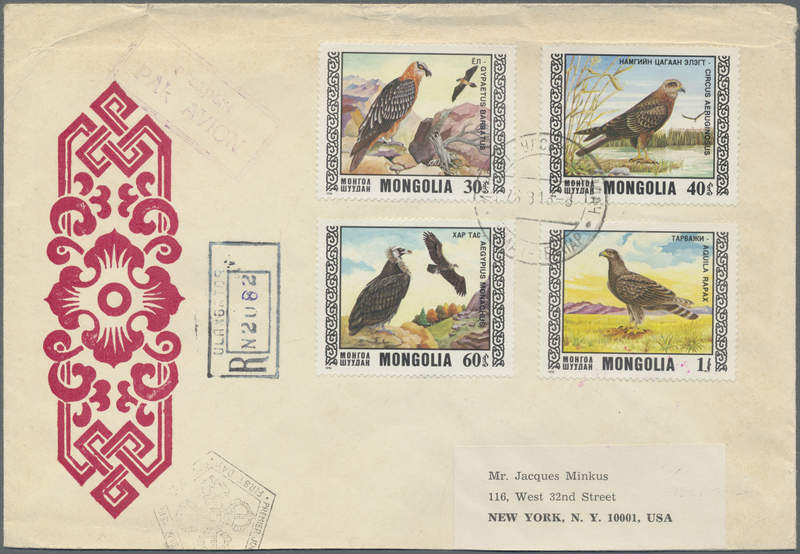 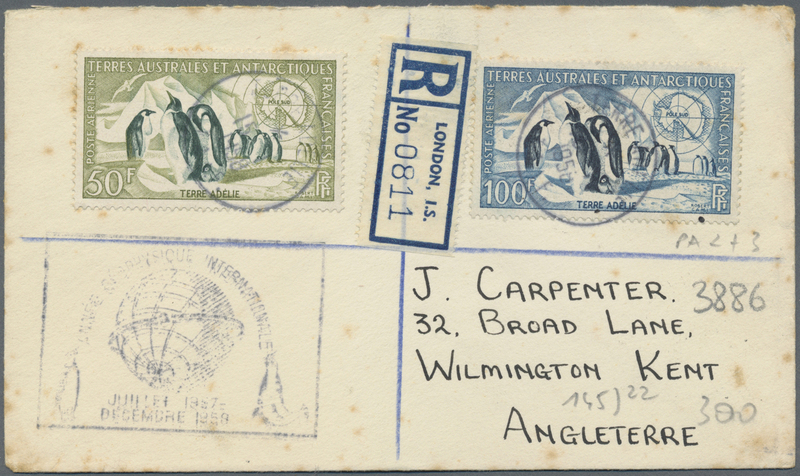 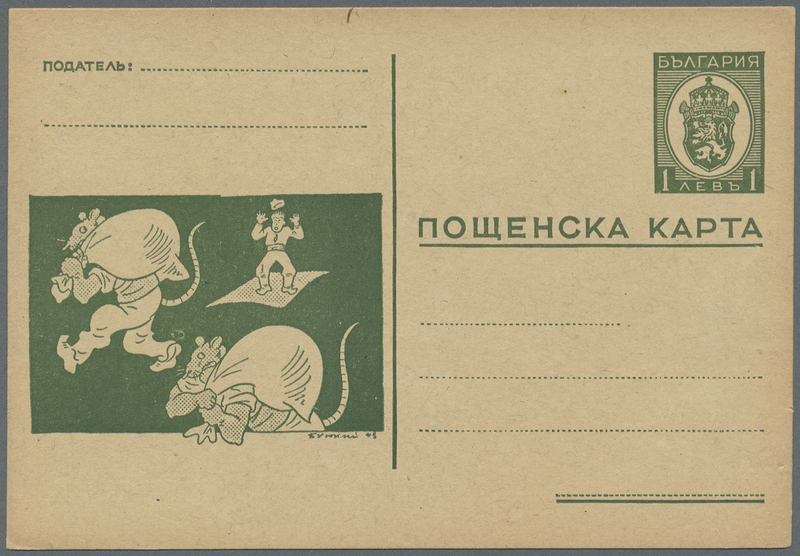 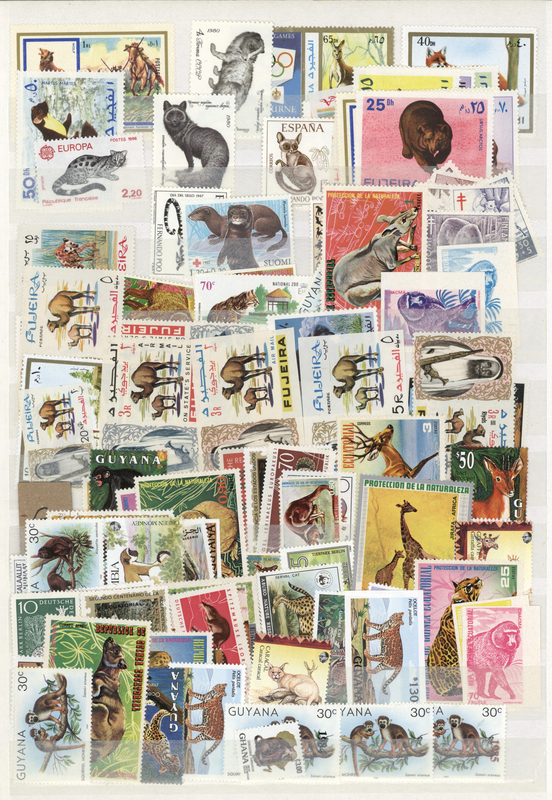 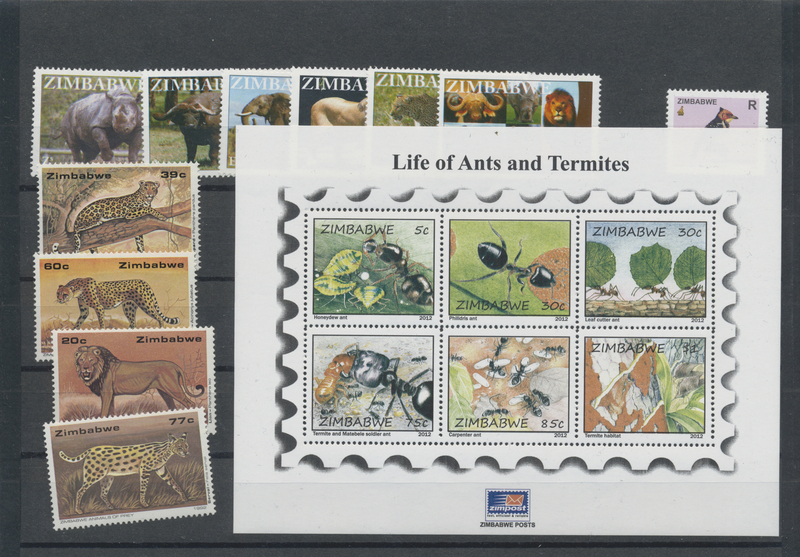 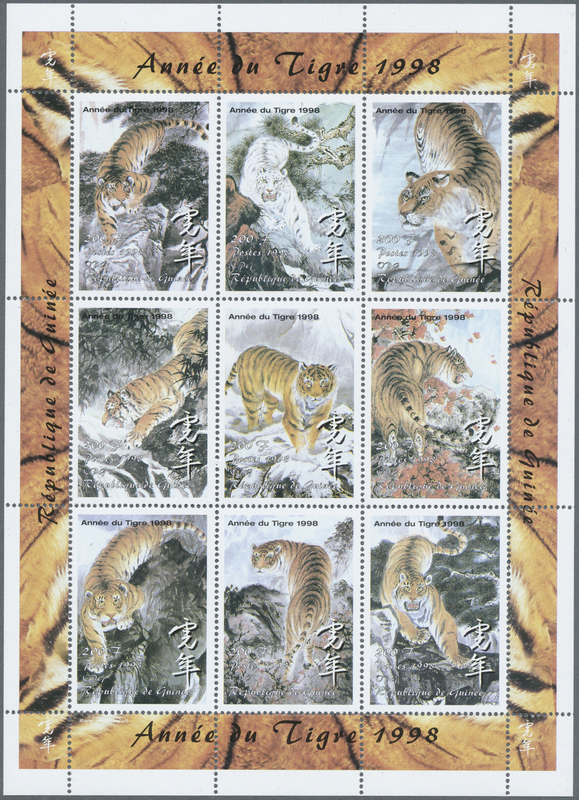 ), FAUNA, ANIMALS, REPTILES, extensive thematic selection in 5 big ring binders, with stamps from all over the world, with complete sets, souvenir-sheets, minature sheets and hundreds of WWF maximumcards and FDCs. 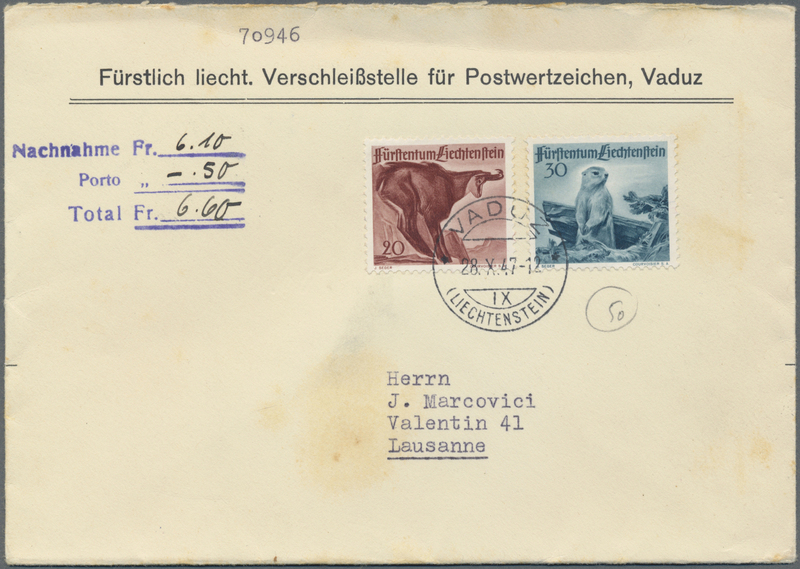 33683 Ganzsache (Complete) Brief (cover) gestempelt (marked) ab ca. 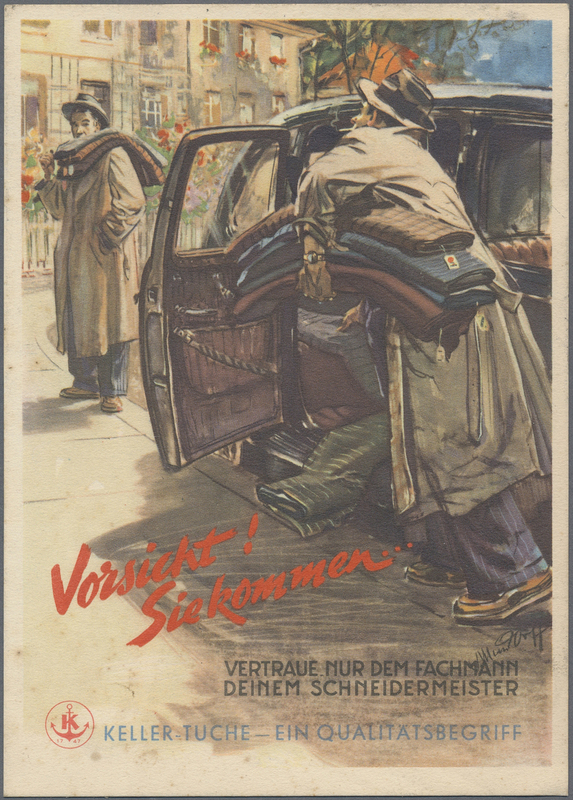 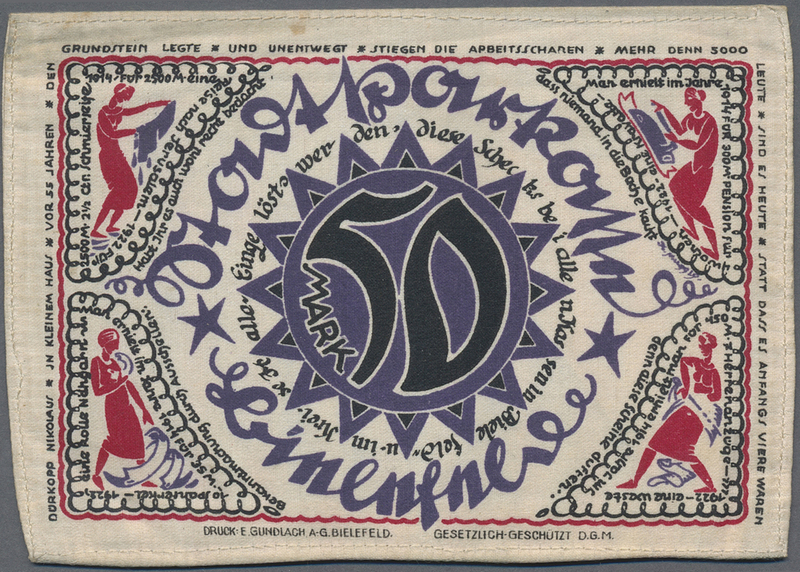 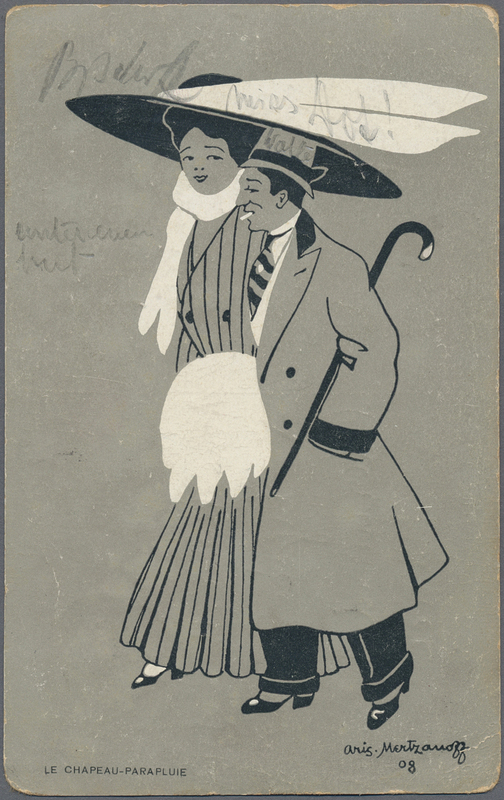 1960, ALLE WELT, umfangreiche Sammlung (ca. 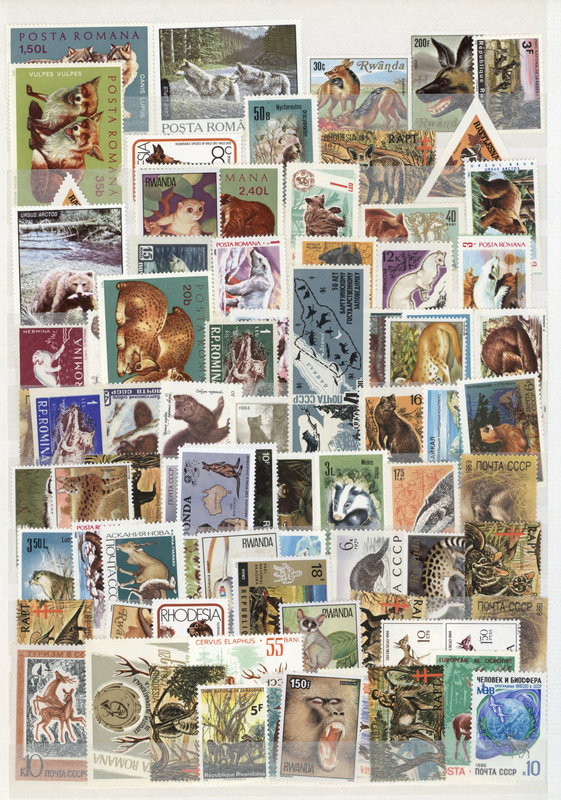 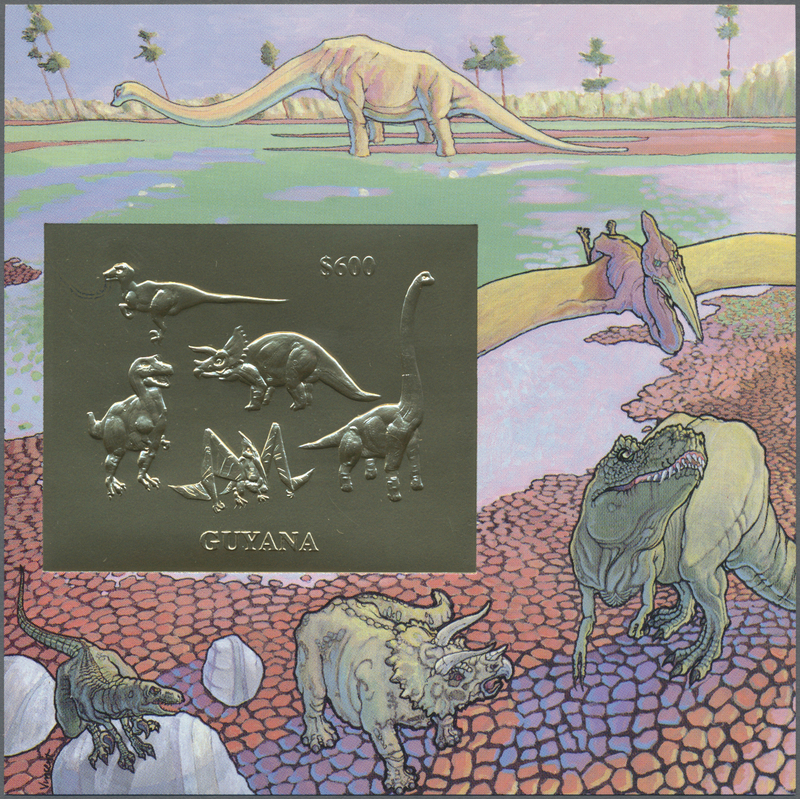 700 Belege) zum Thema Tiere/Fauna, viele schöne und farbige Belege= SST, Motiv + Cachet-Stpl., Ansichtskarten, viele Marken und Kleinbogen (gezähnt und ungezähnt), FDCs, Probedrucke (gold+silberfarben), Blockausgaben, etc. 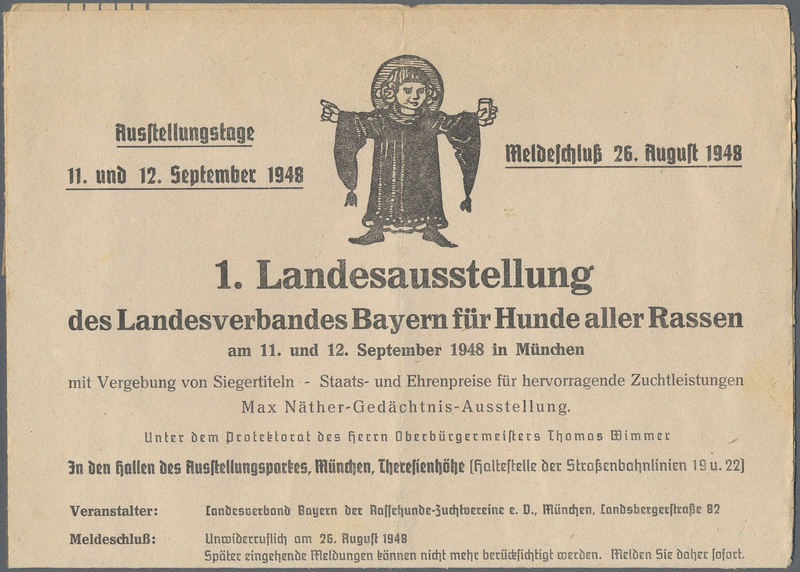 Eine reichhaltige Sammlung! 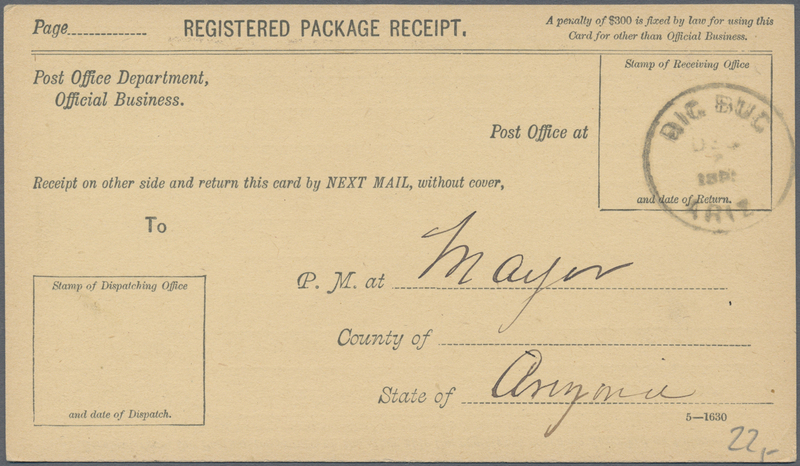 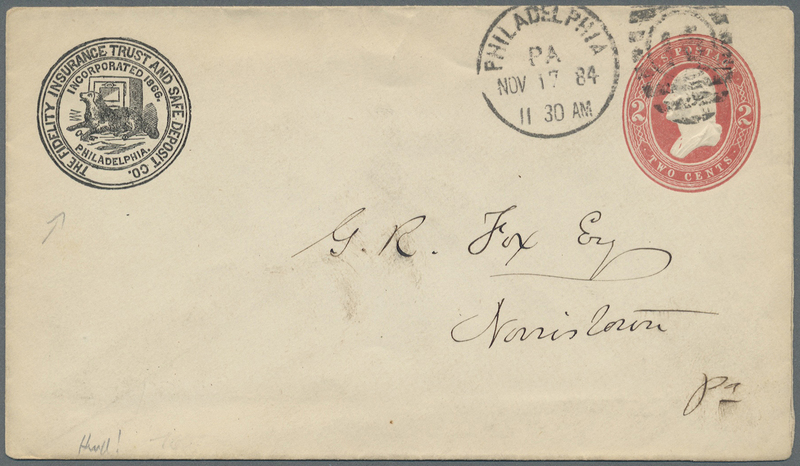 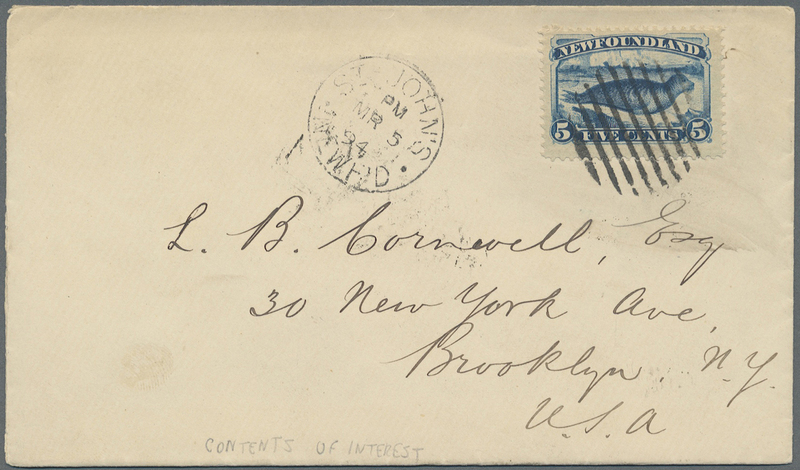 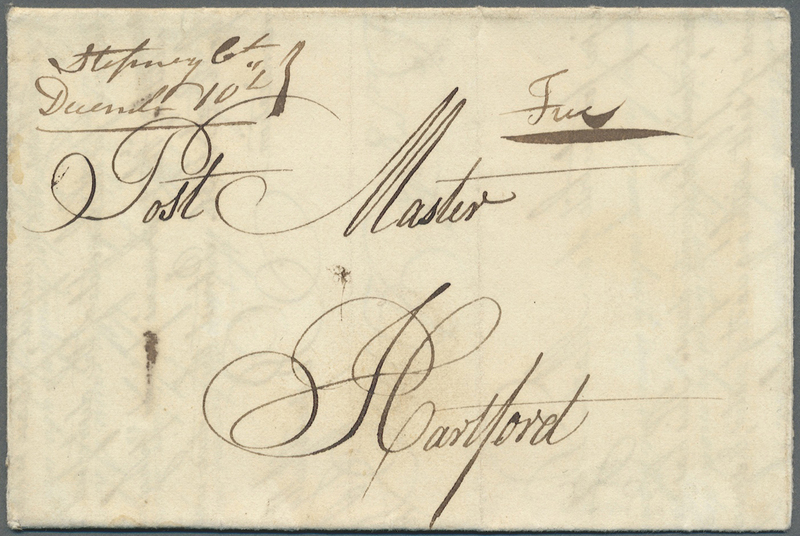 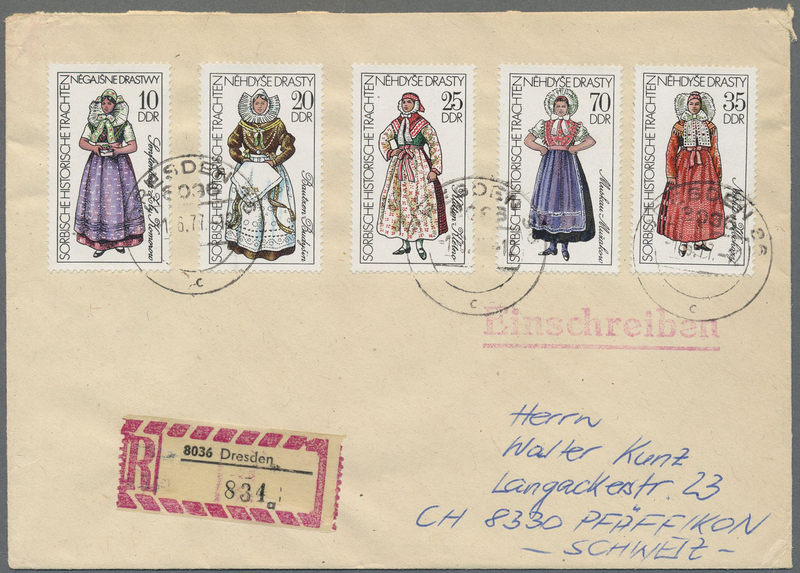 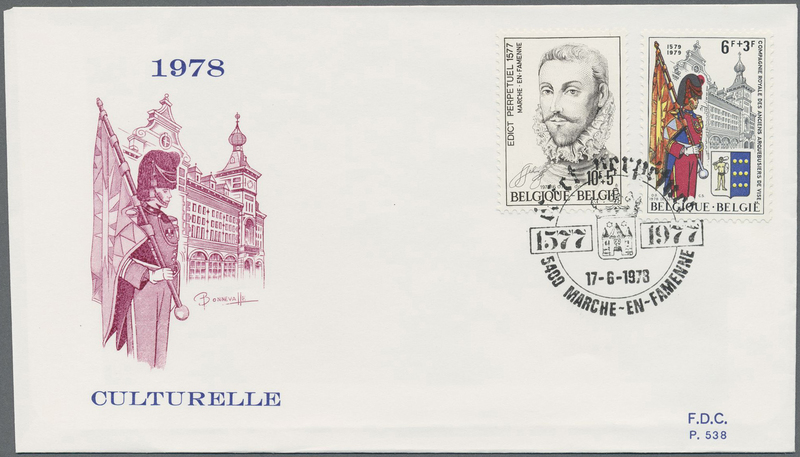 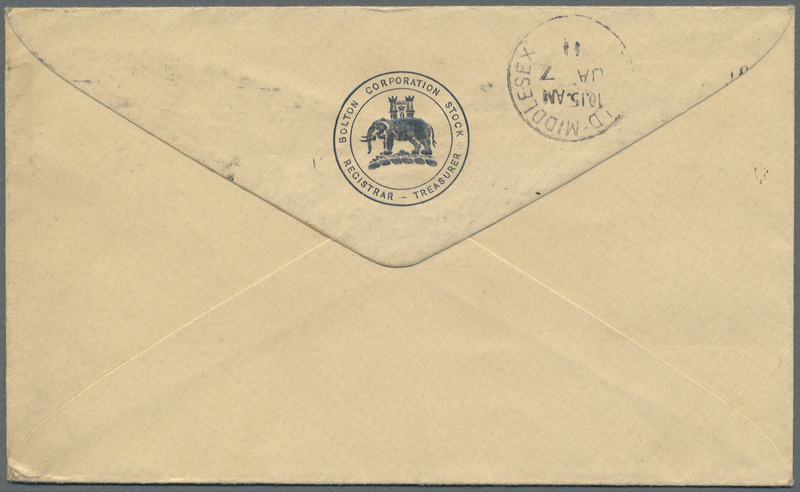 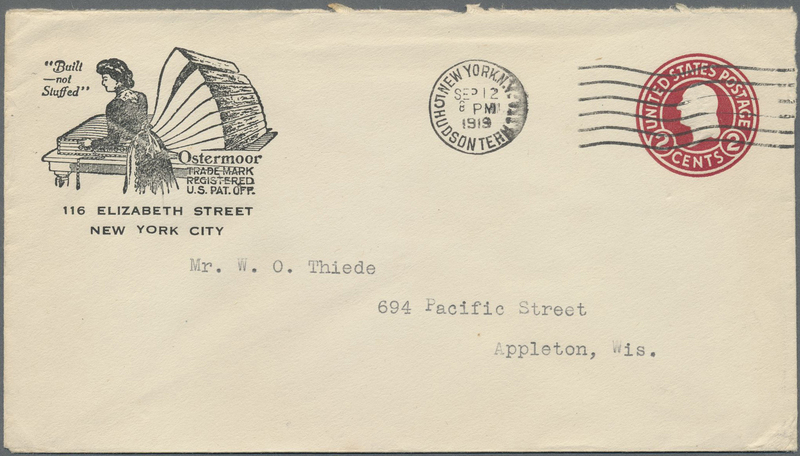 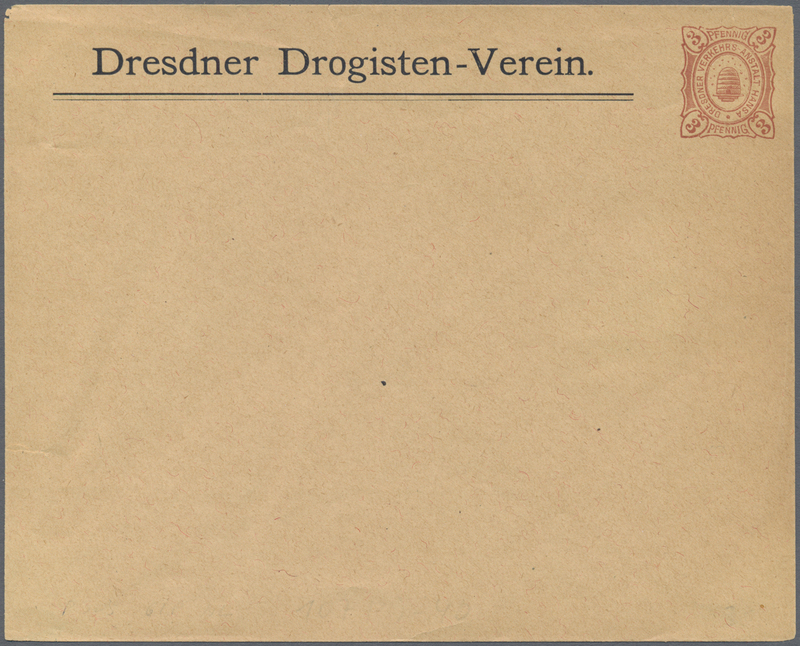 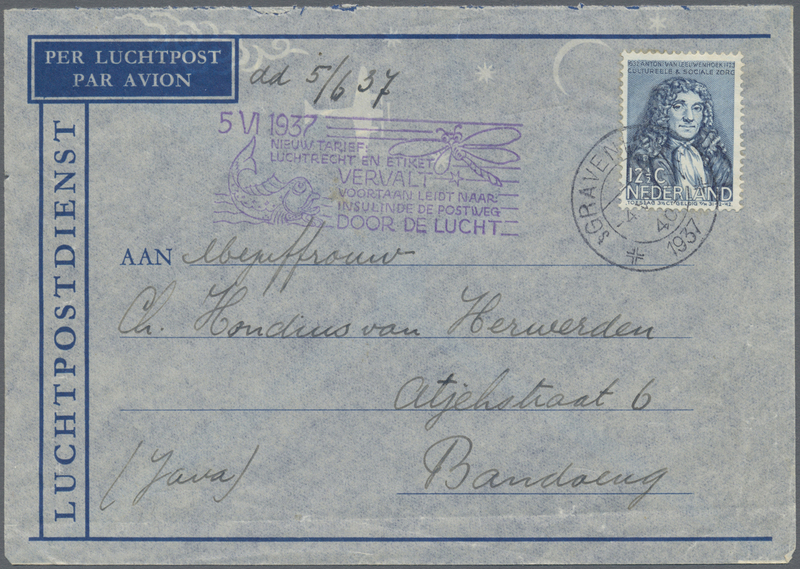 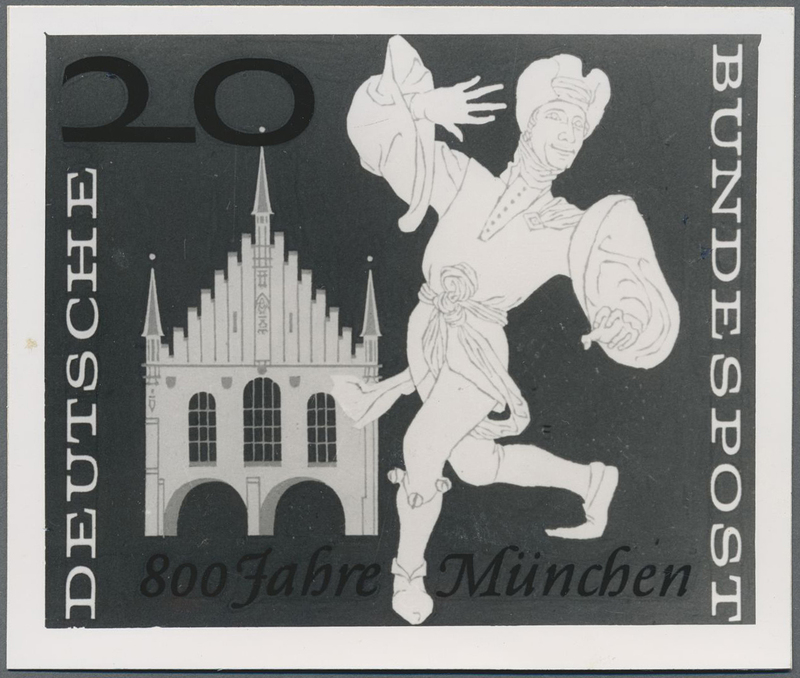 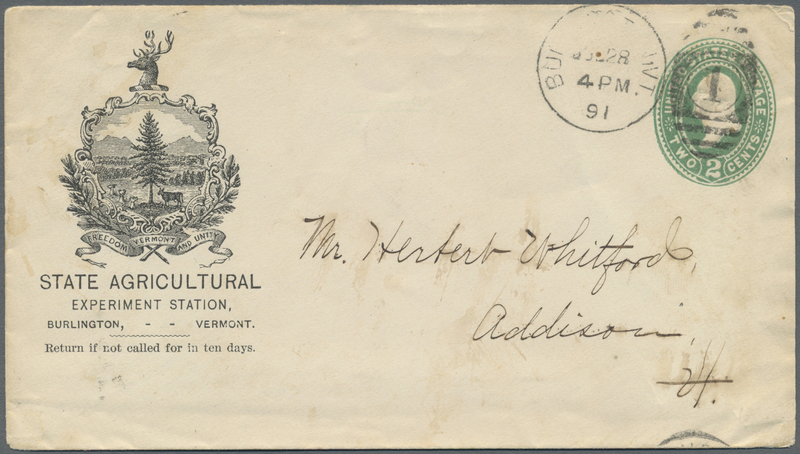 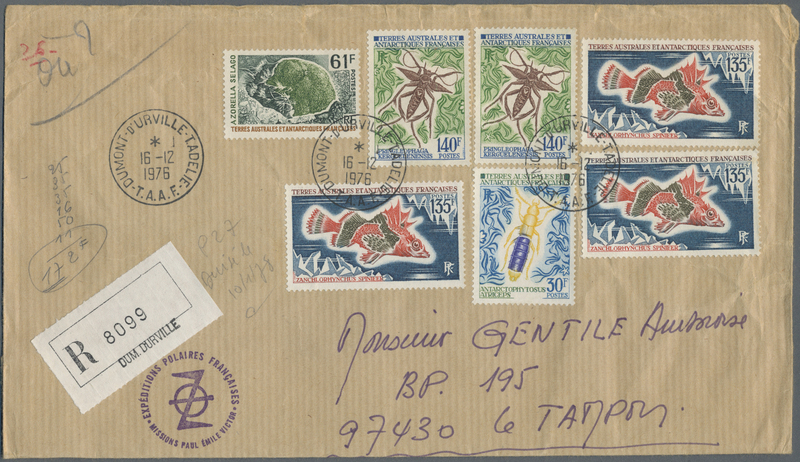 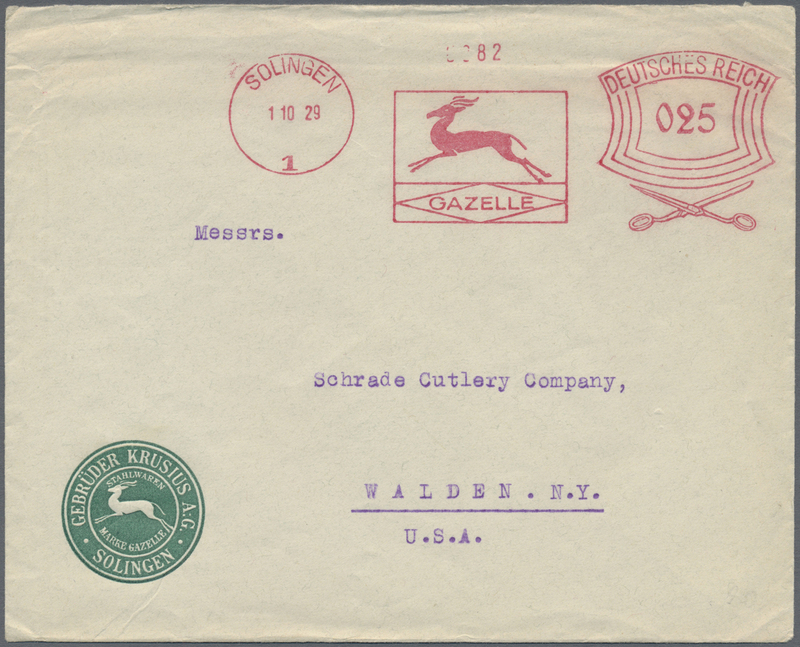 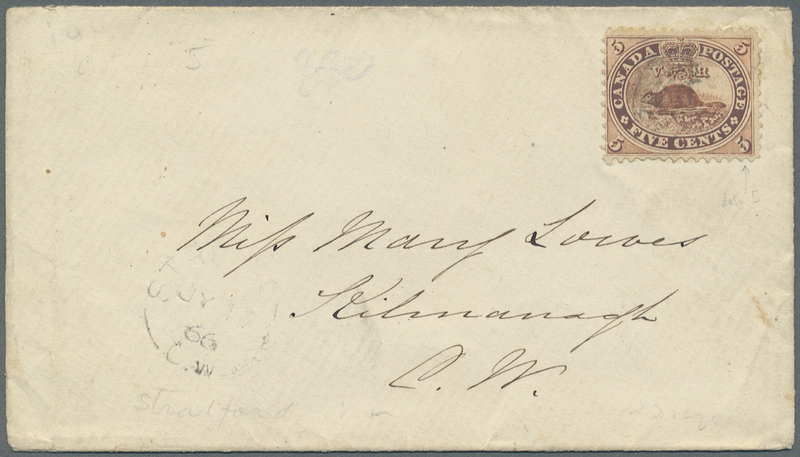 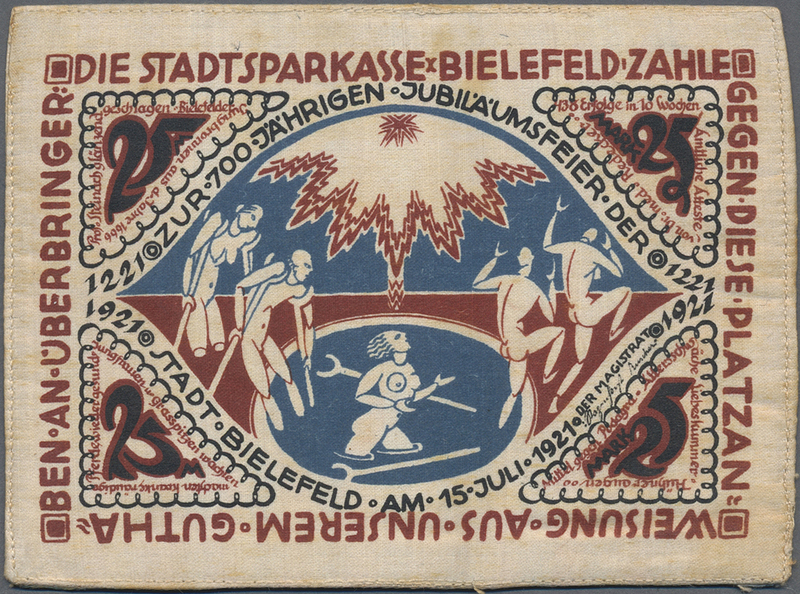 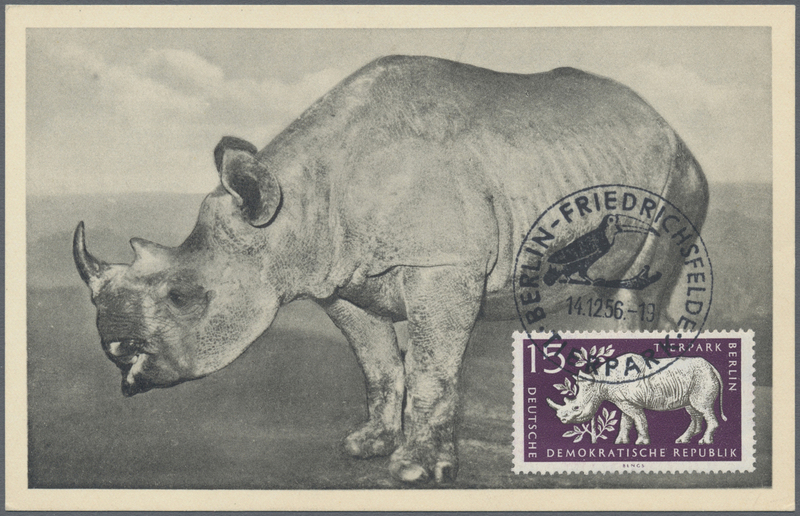 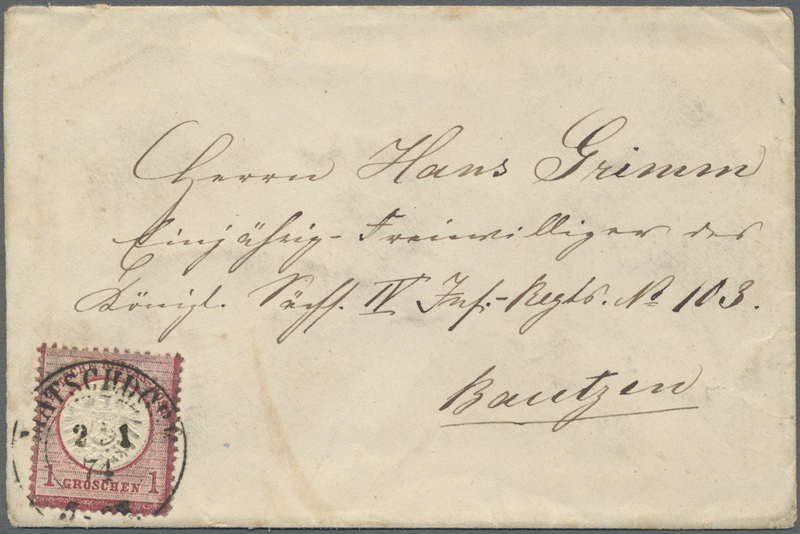 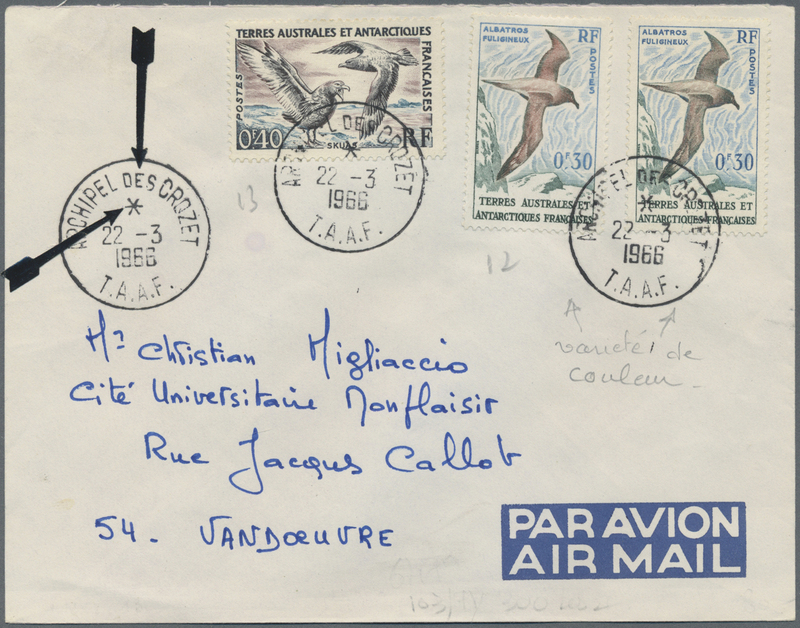 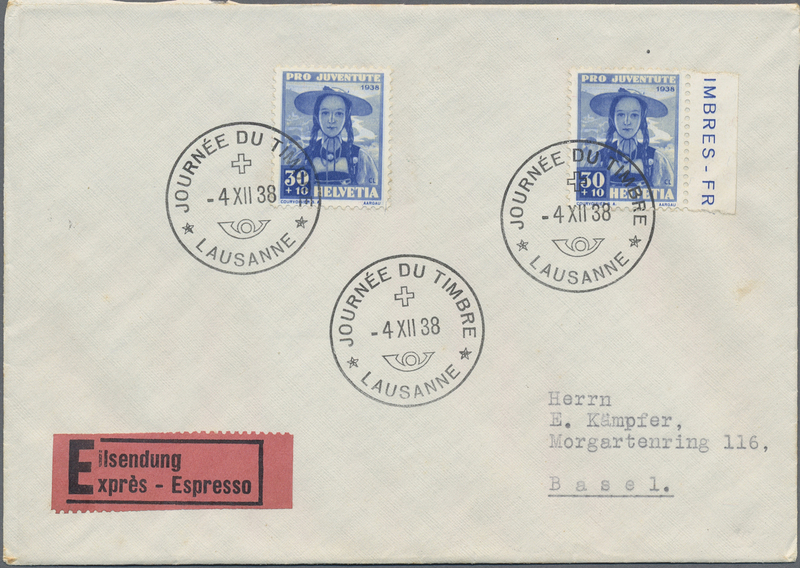 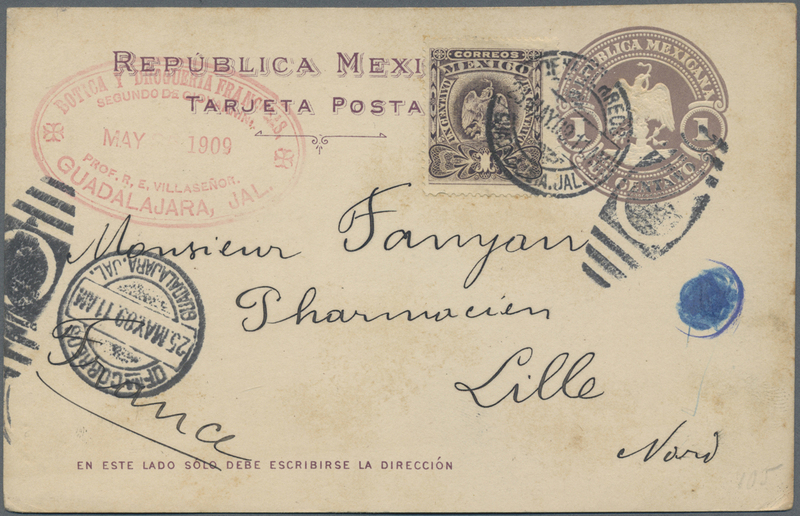 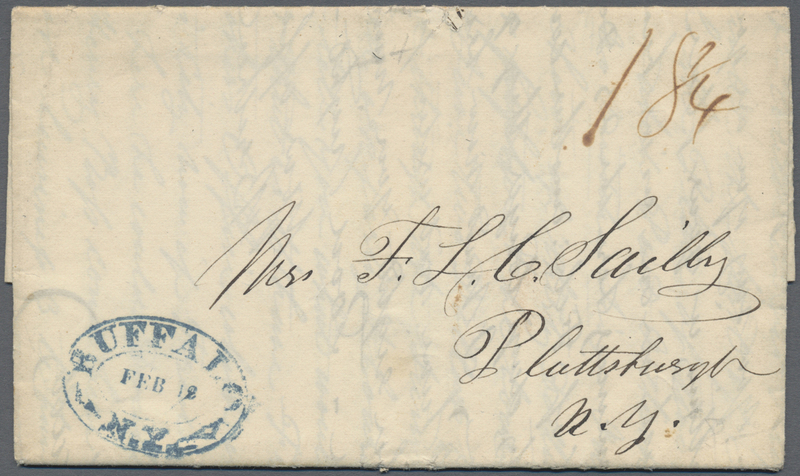 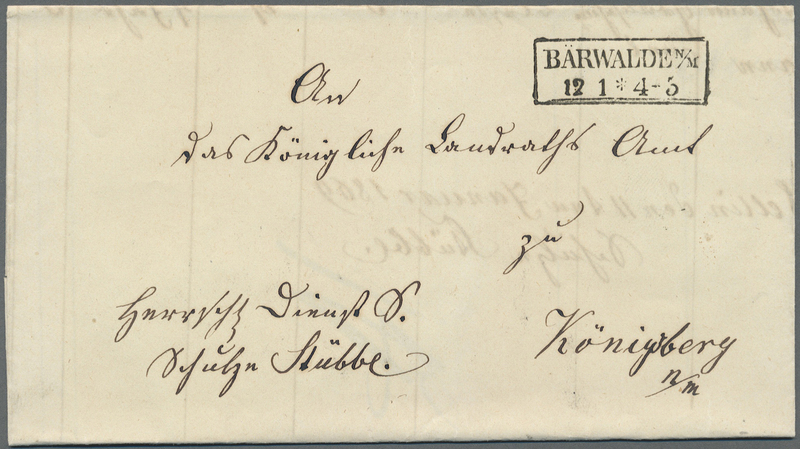 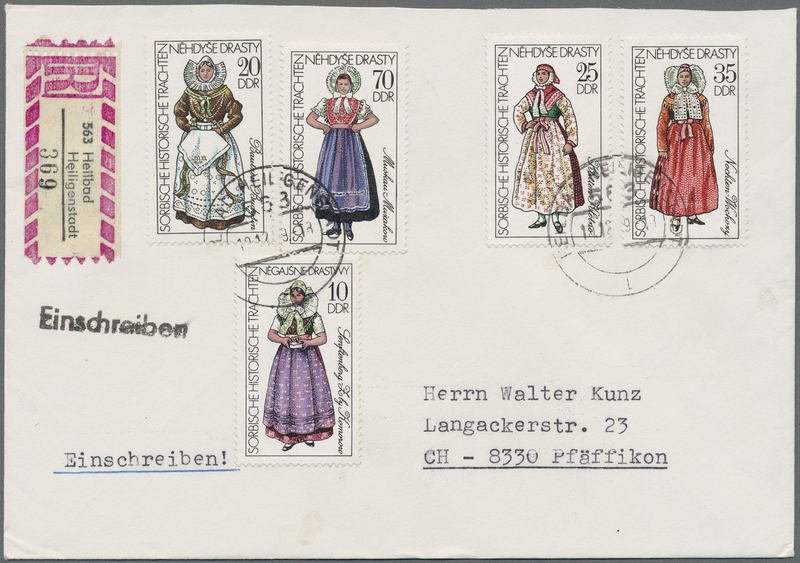 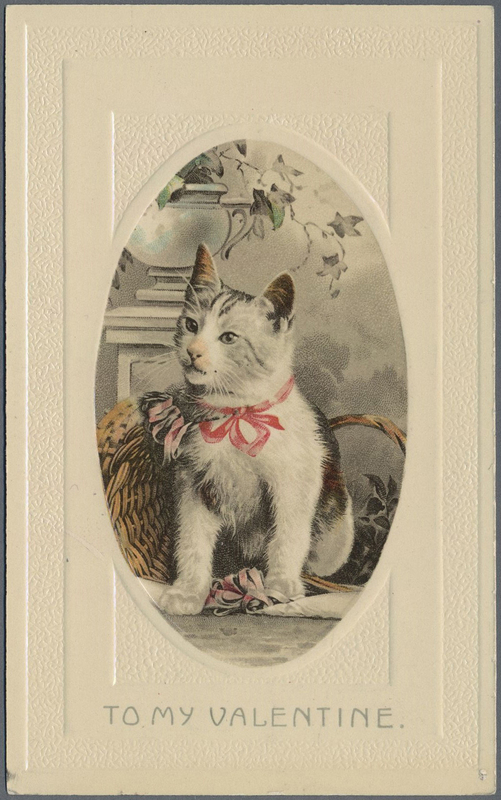 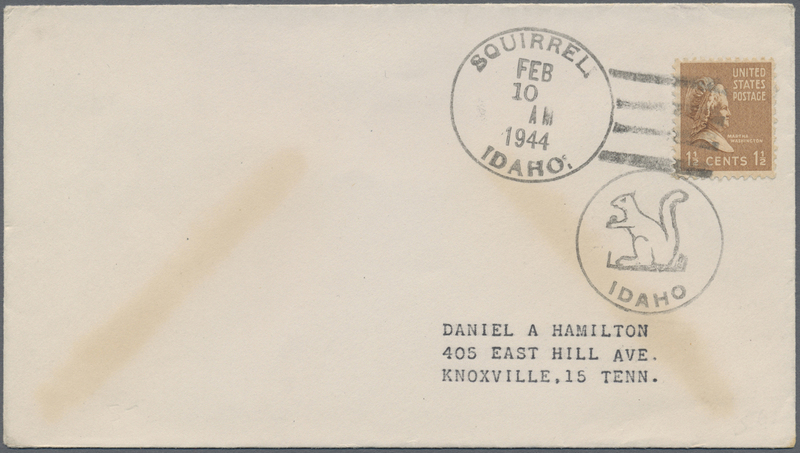 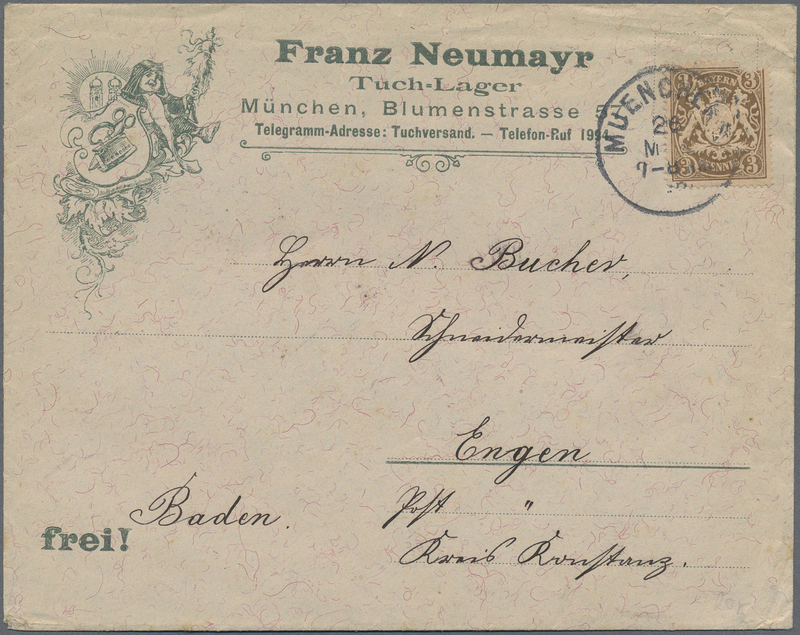 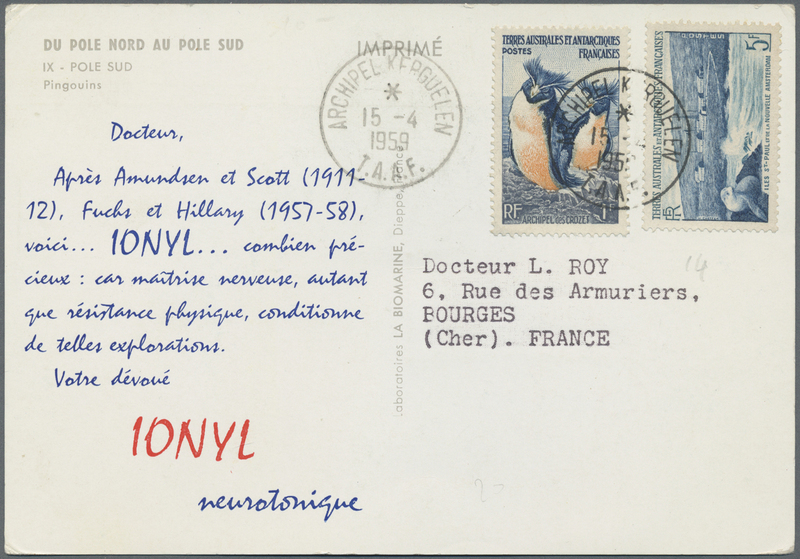 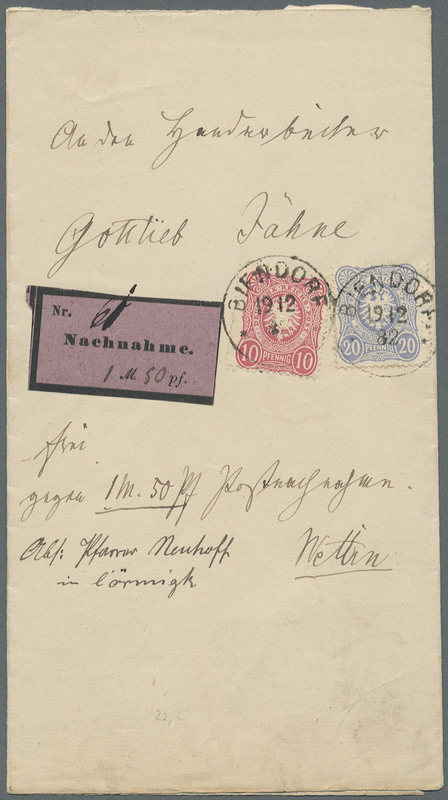 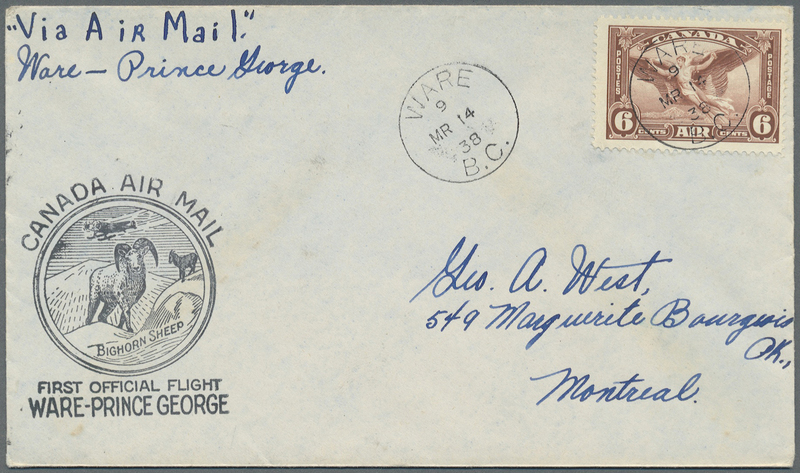 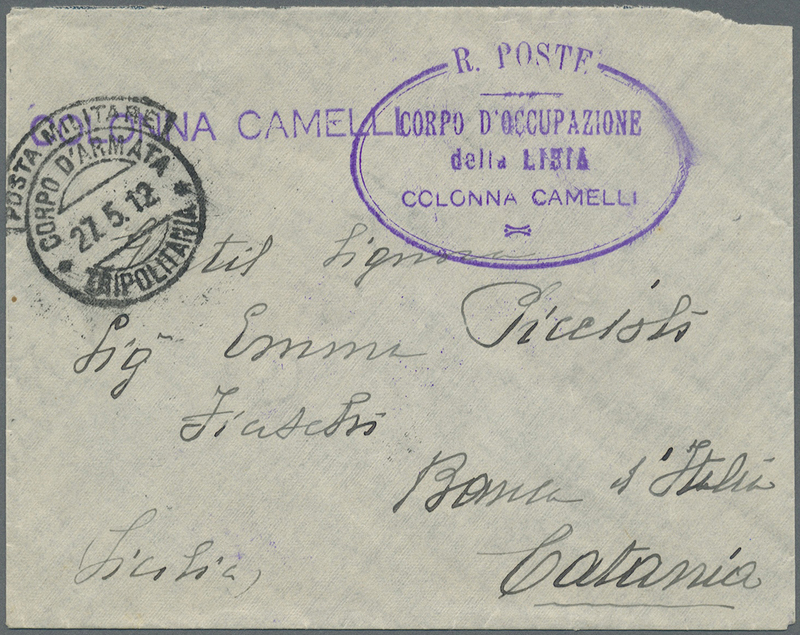 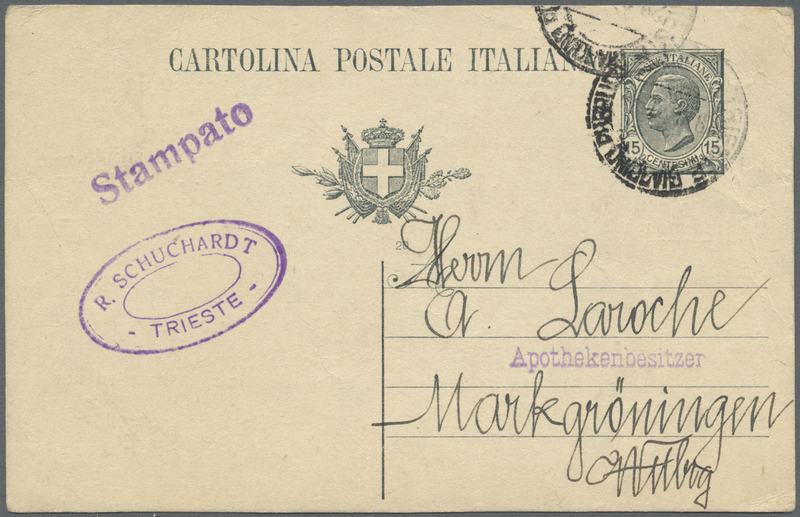 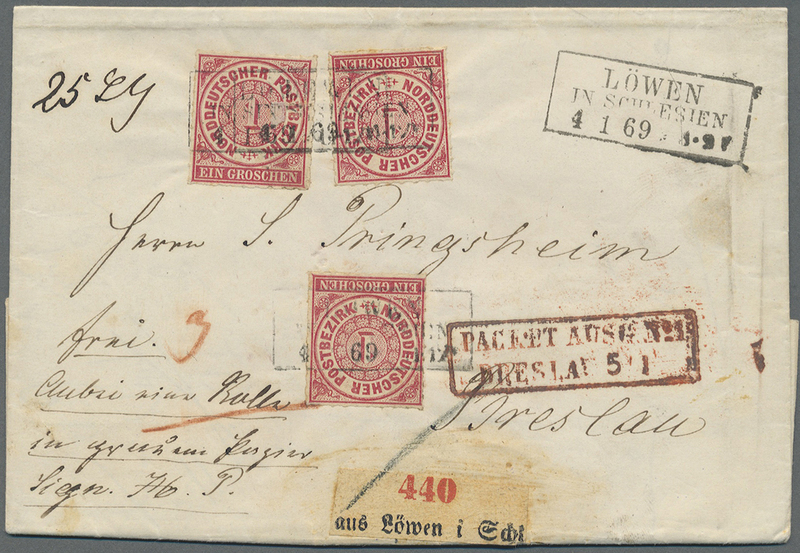 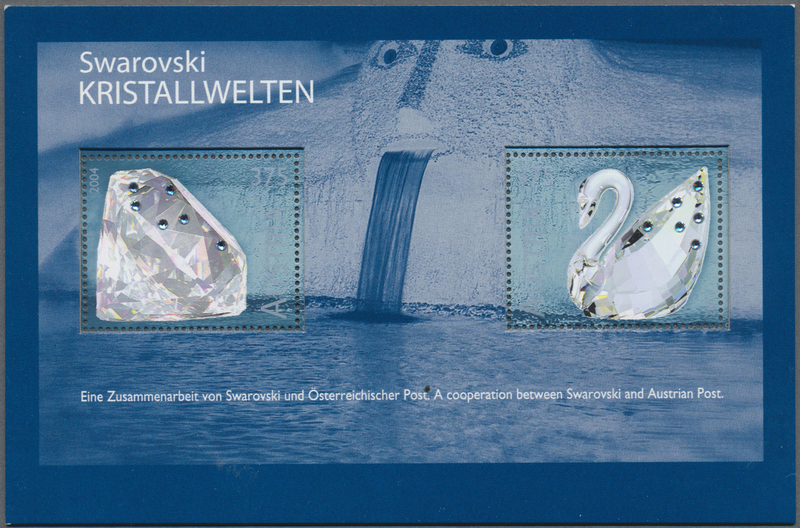 33705 postfrisch (never hinged) ** 1194/95 var. 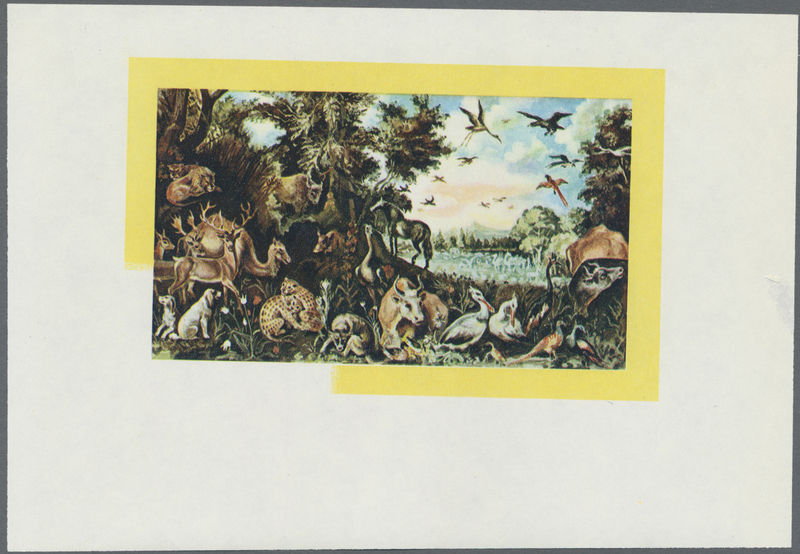 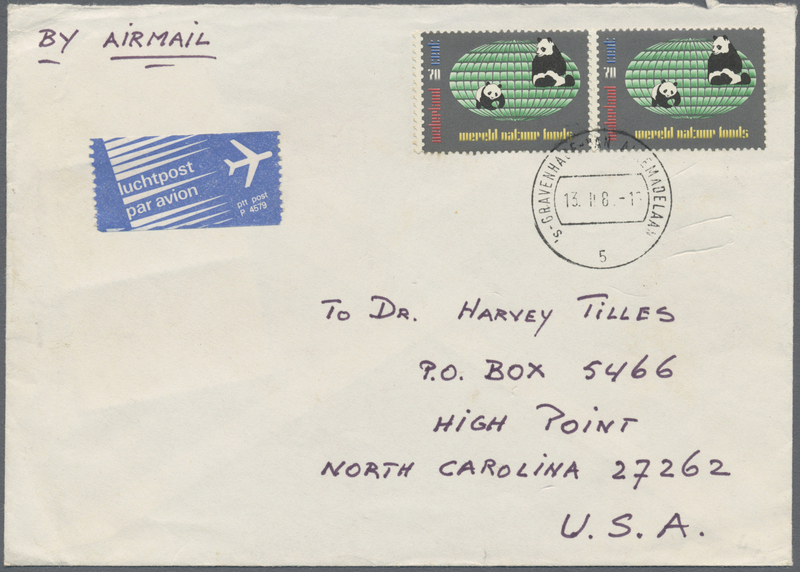 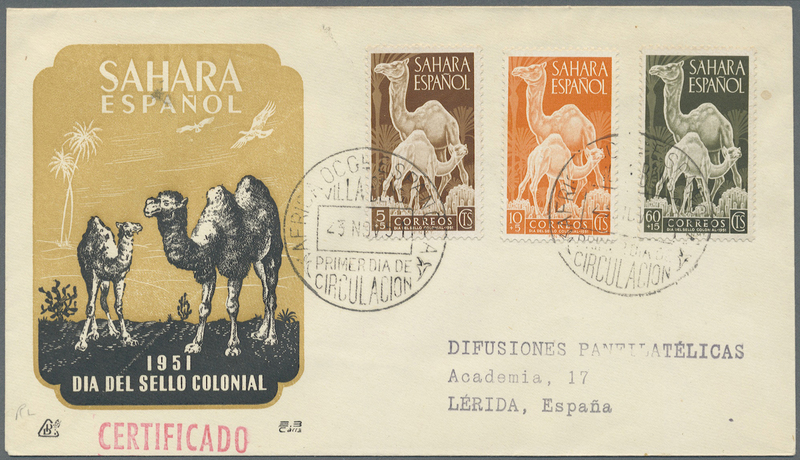 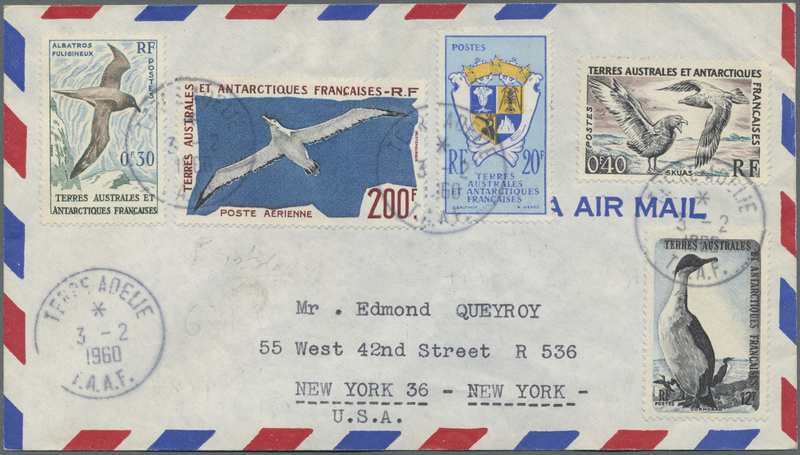 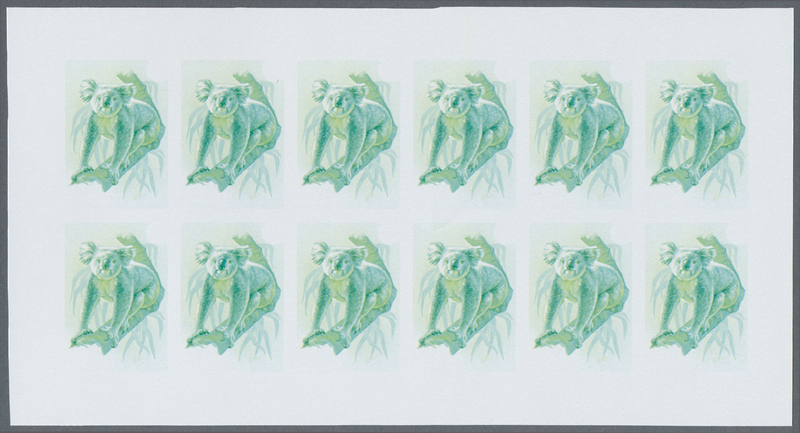 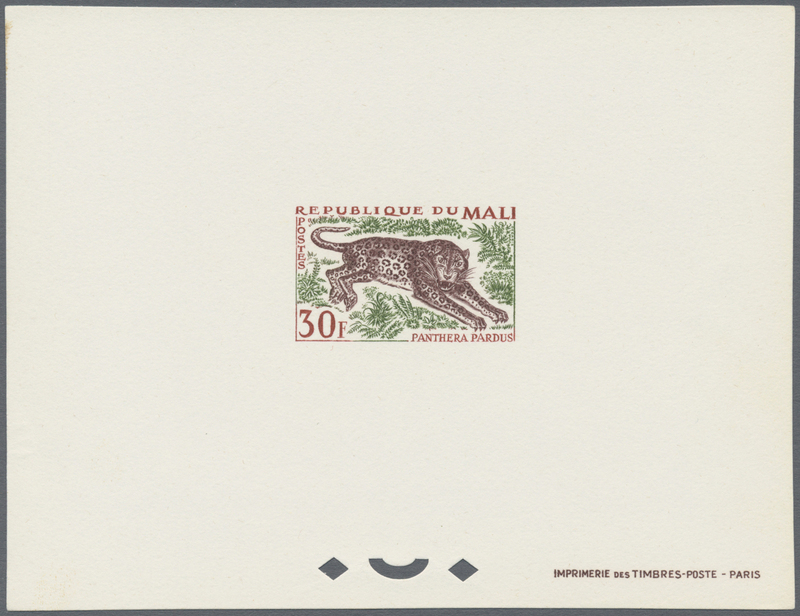 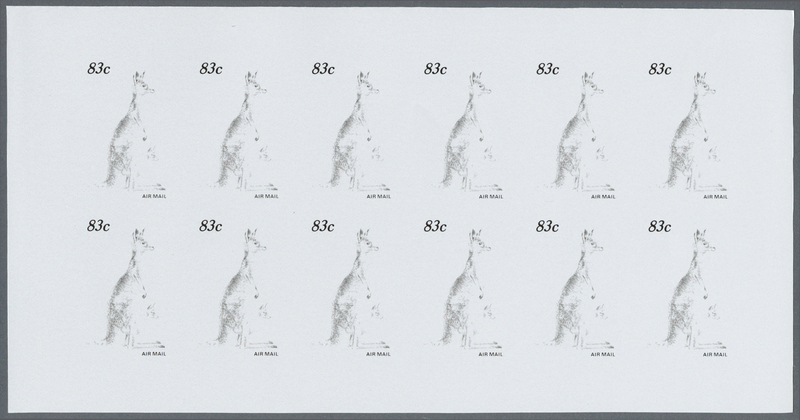 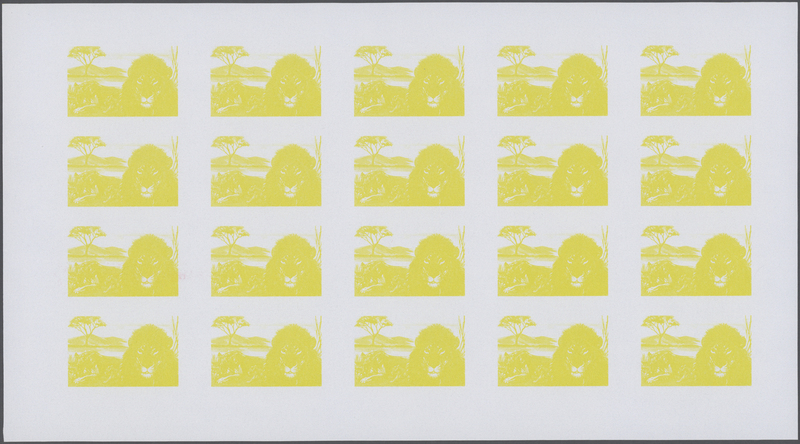 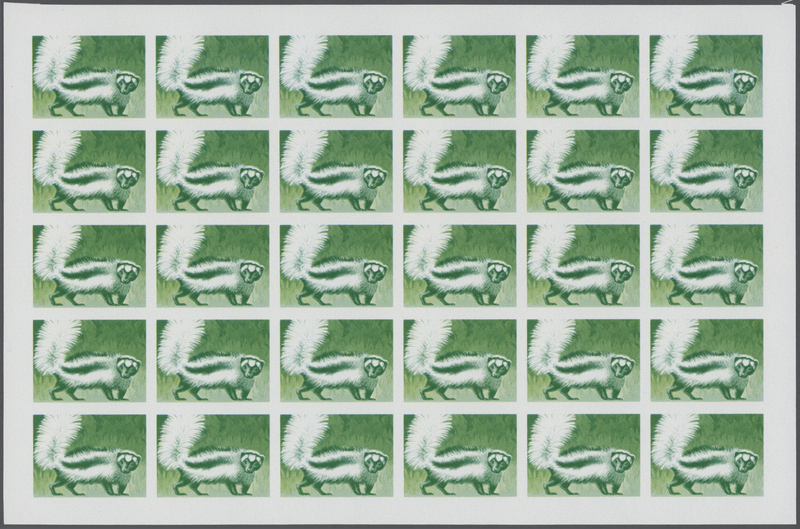 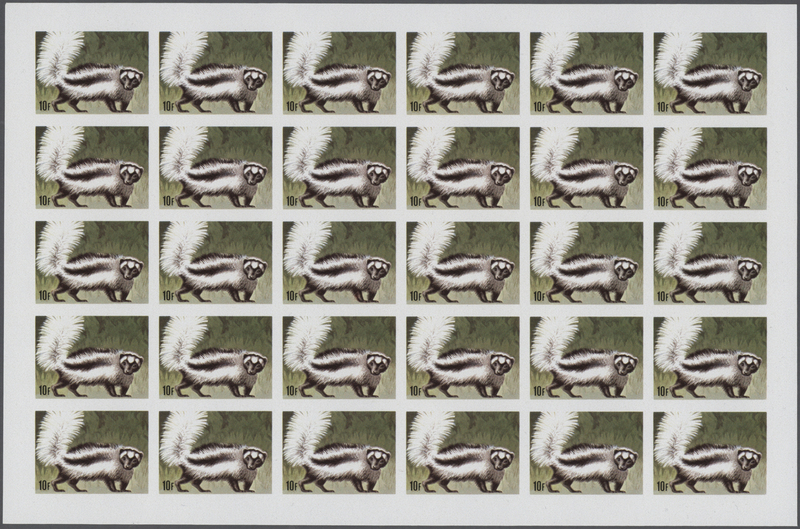 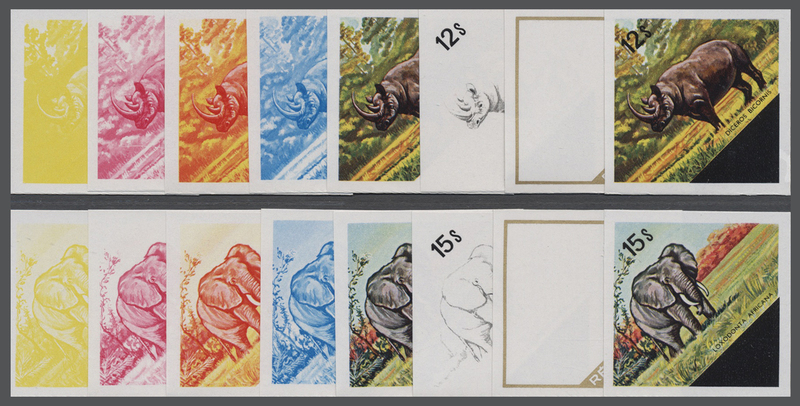 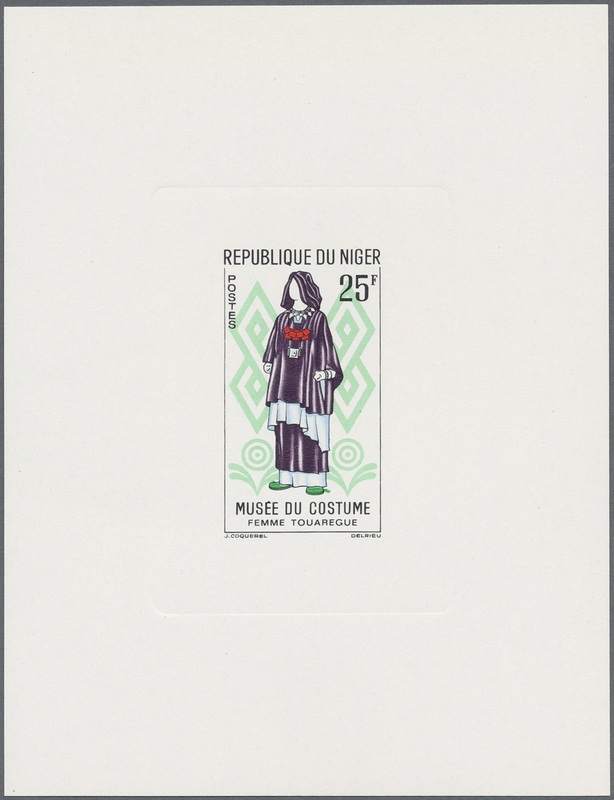 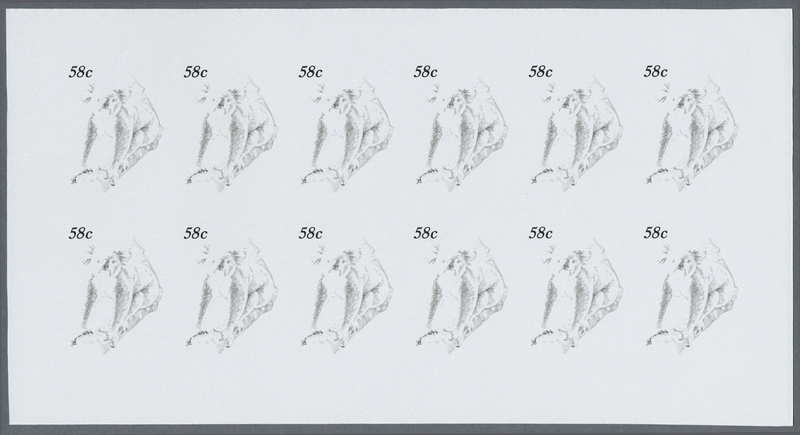 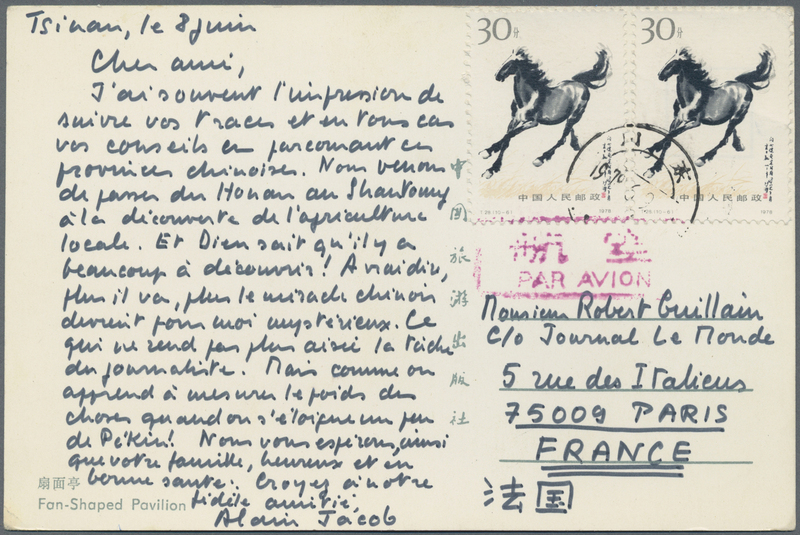 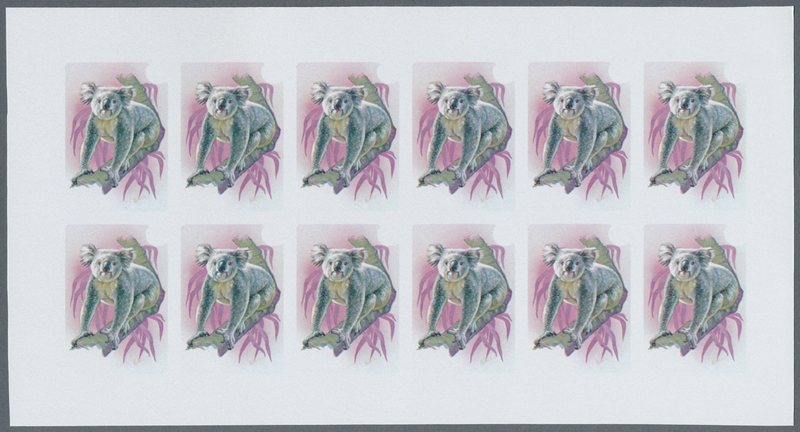 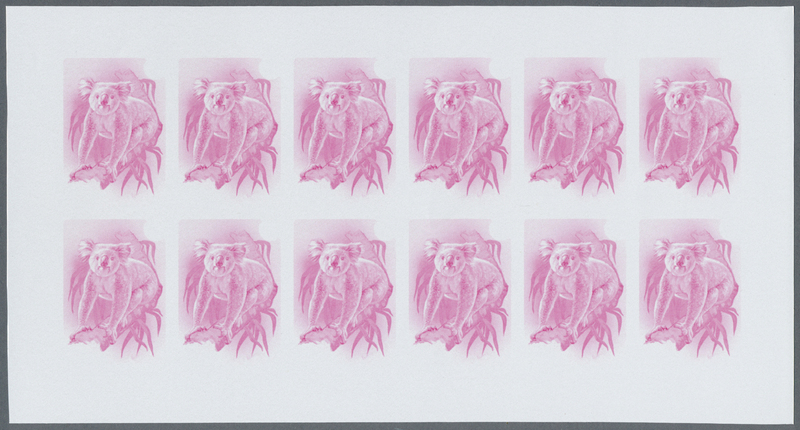 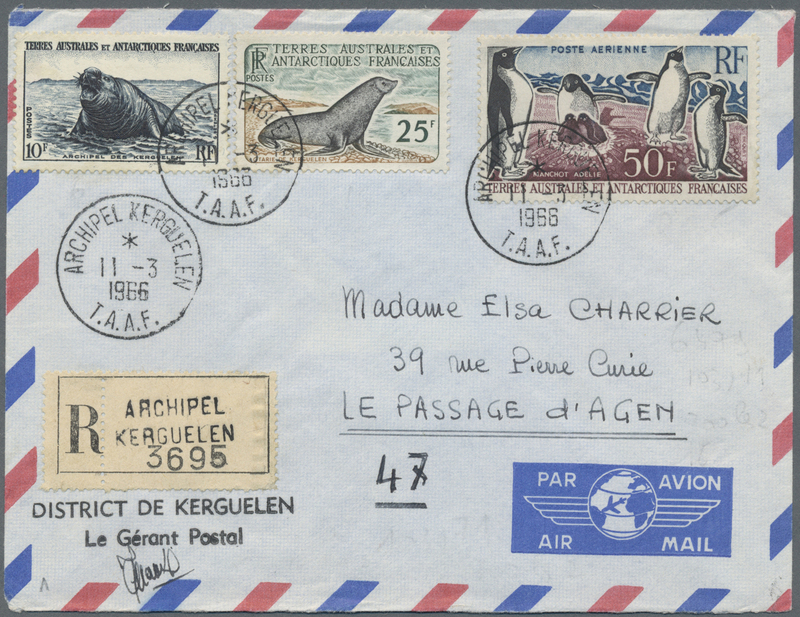 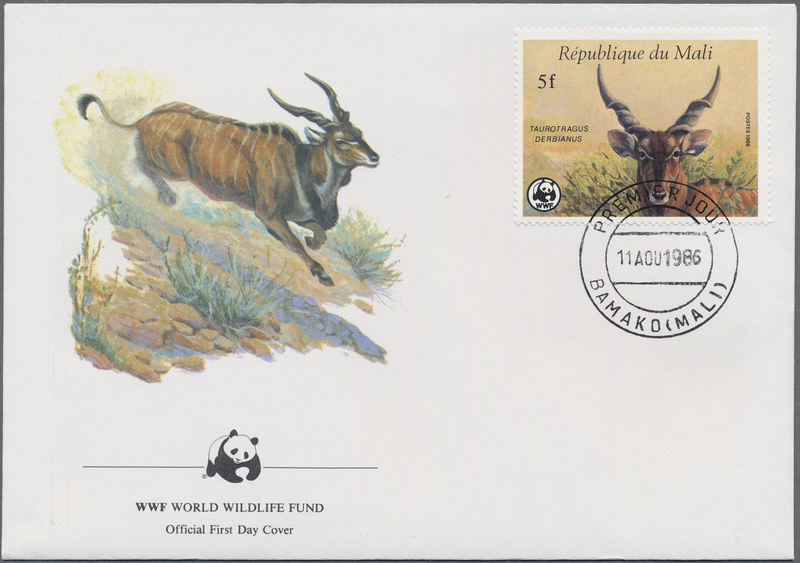 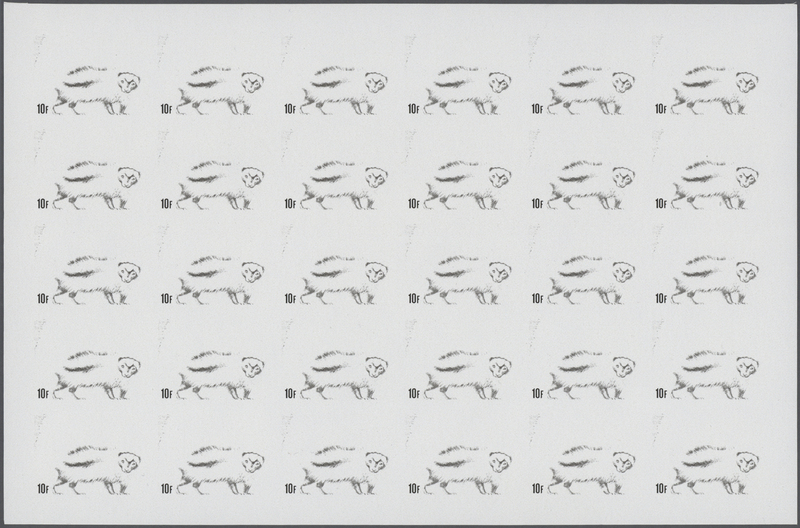 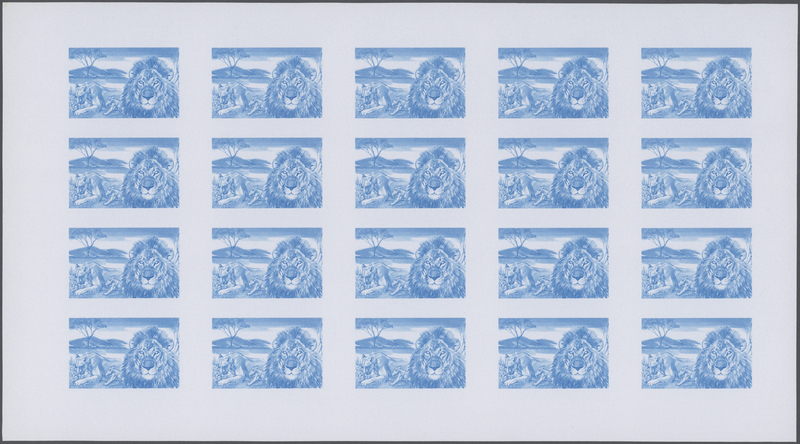 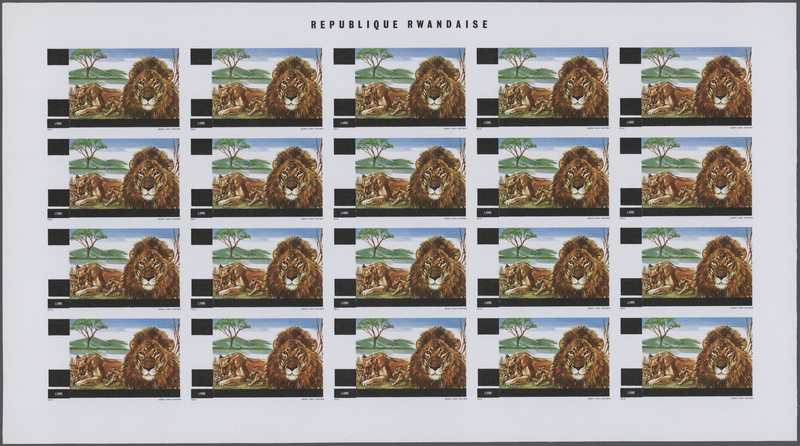 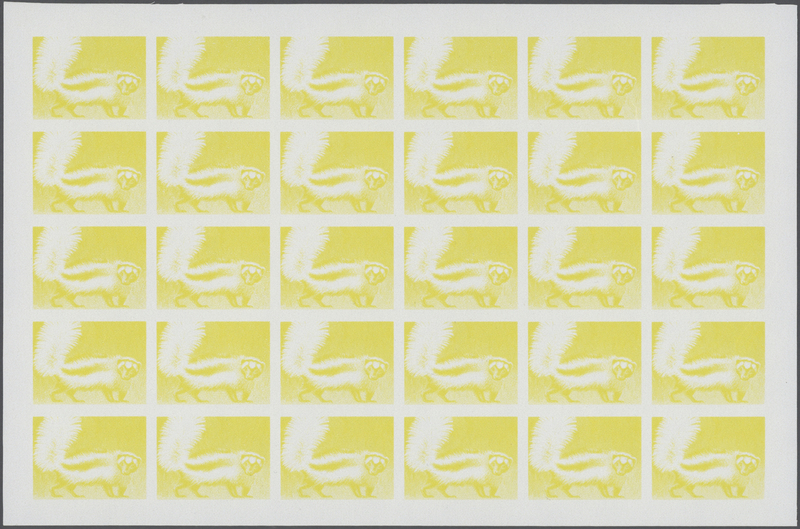 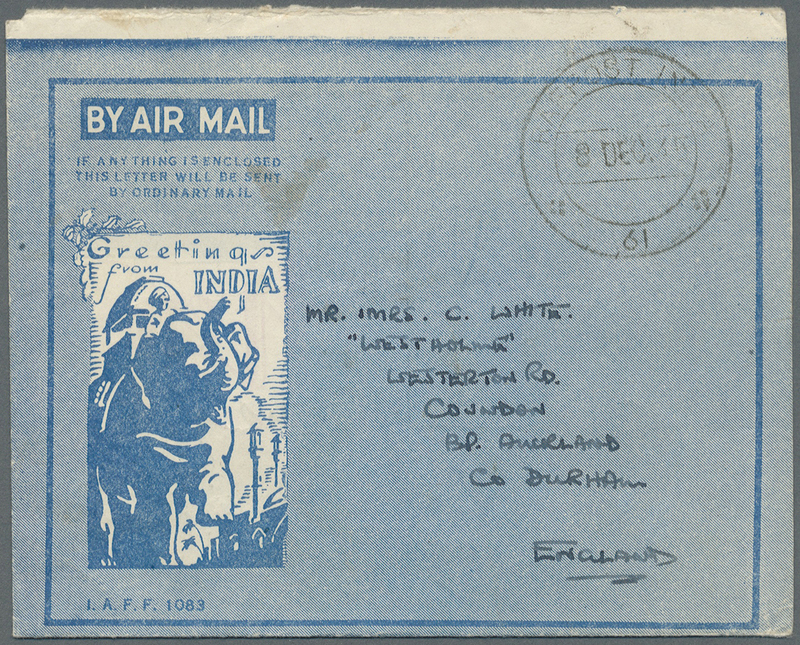 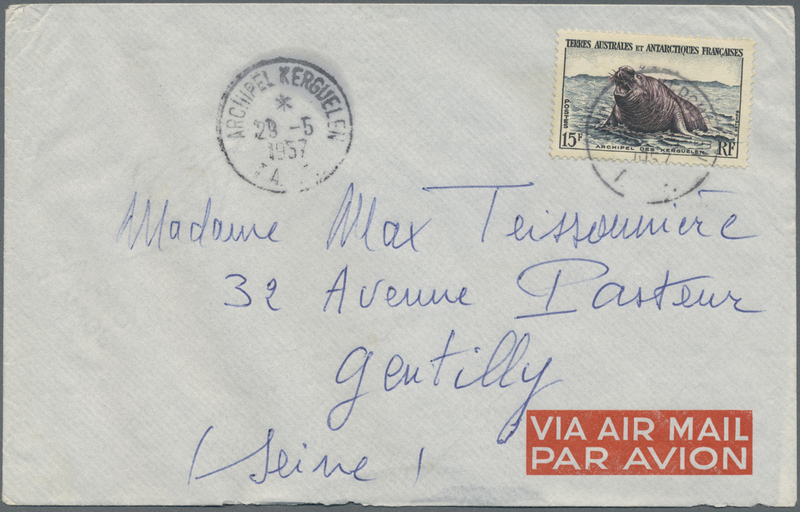 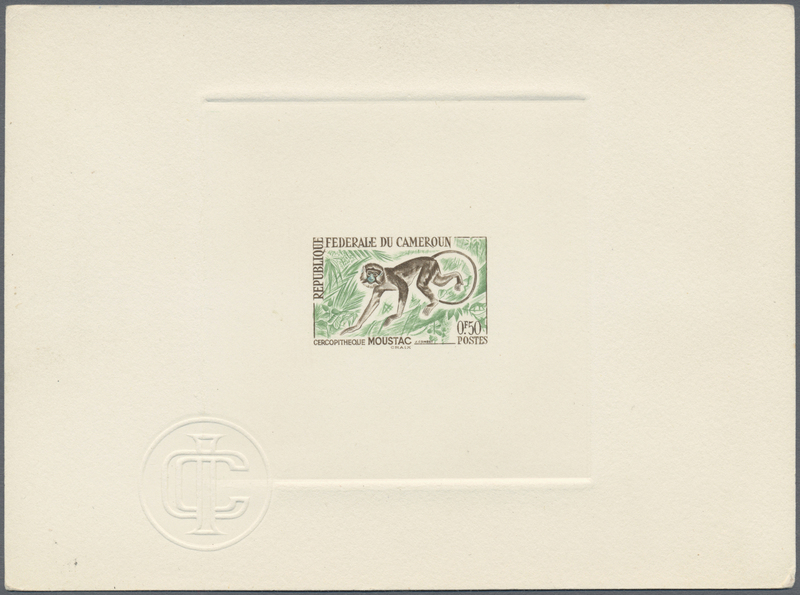 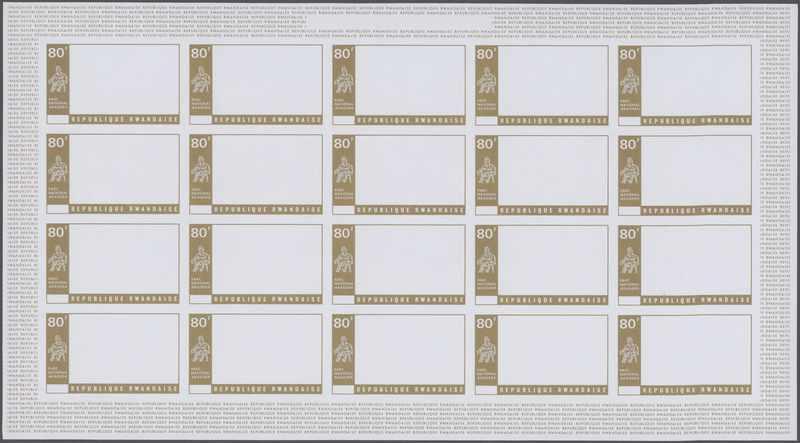 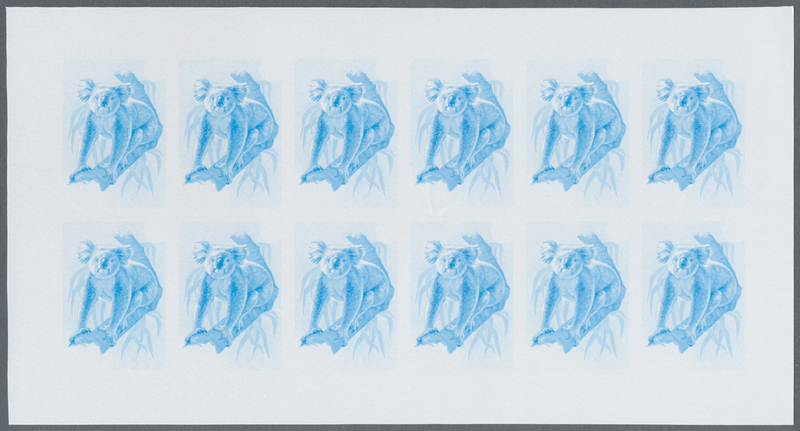 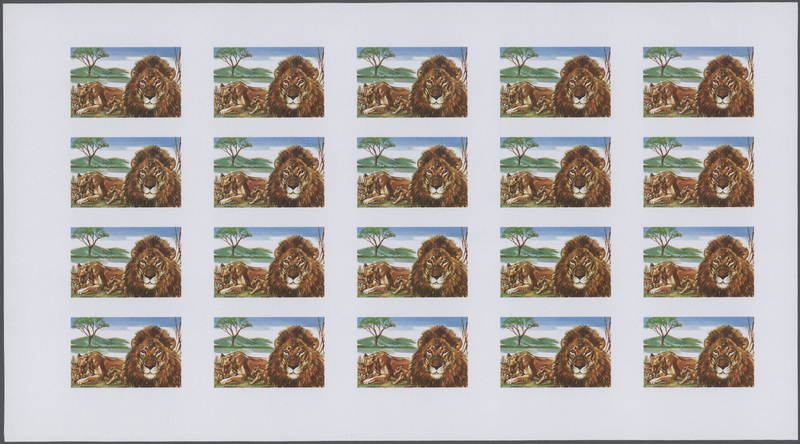 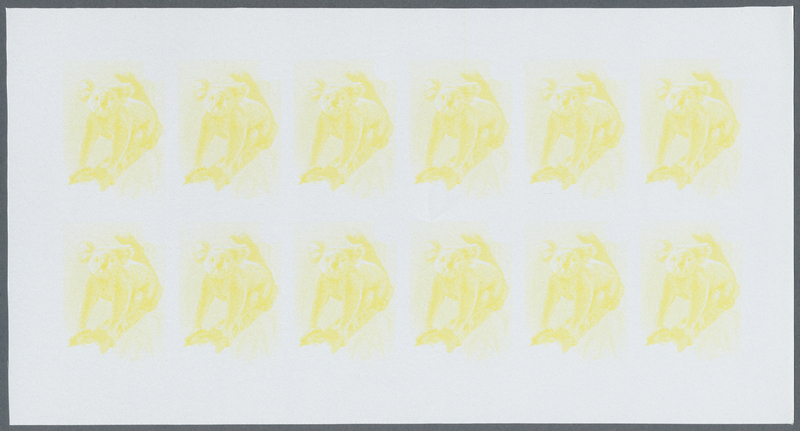 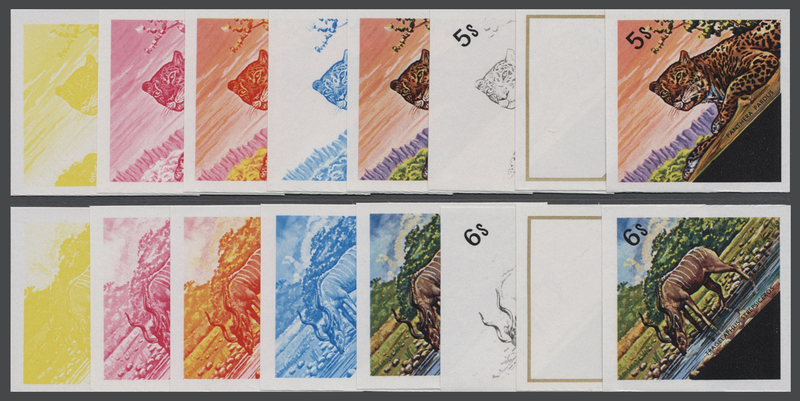 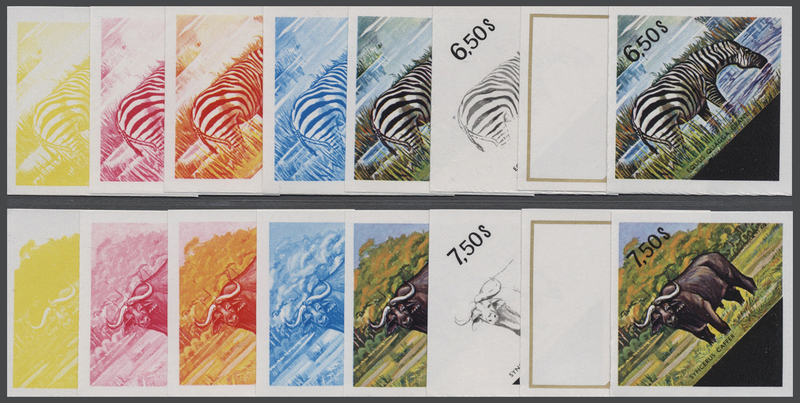 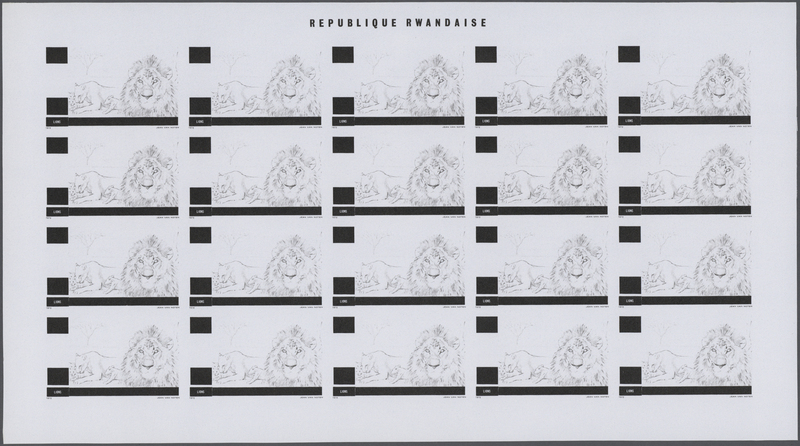 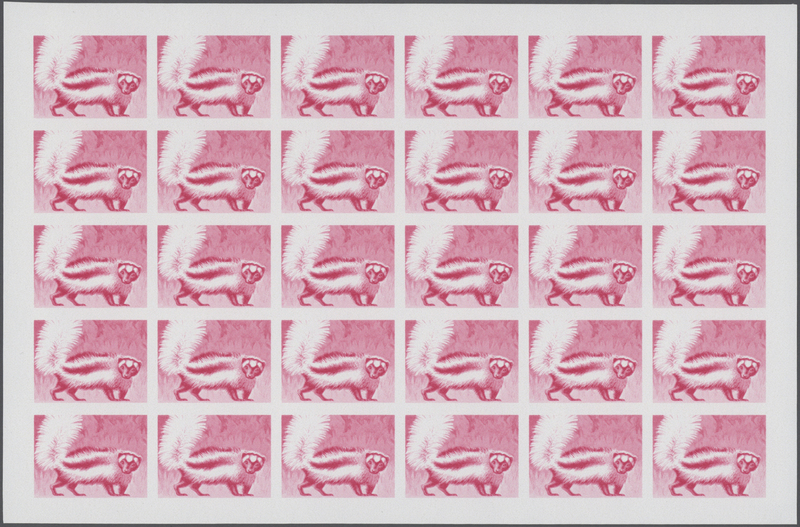 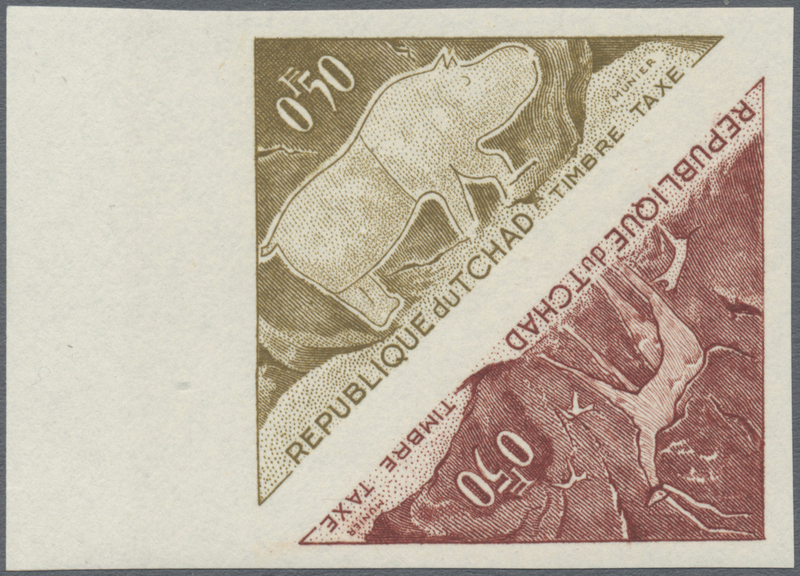 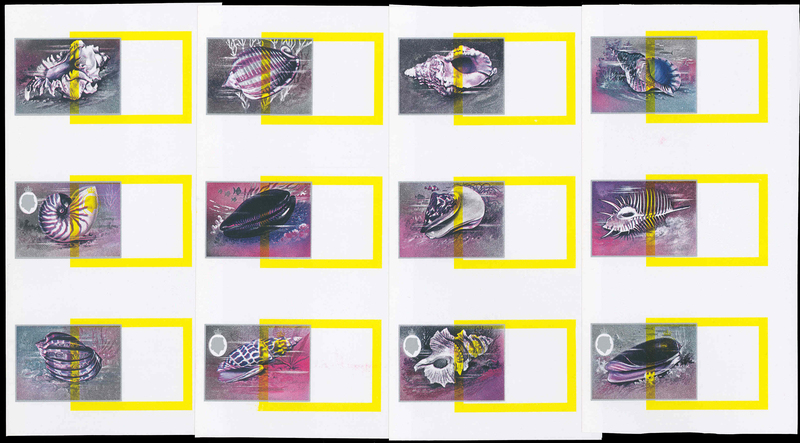 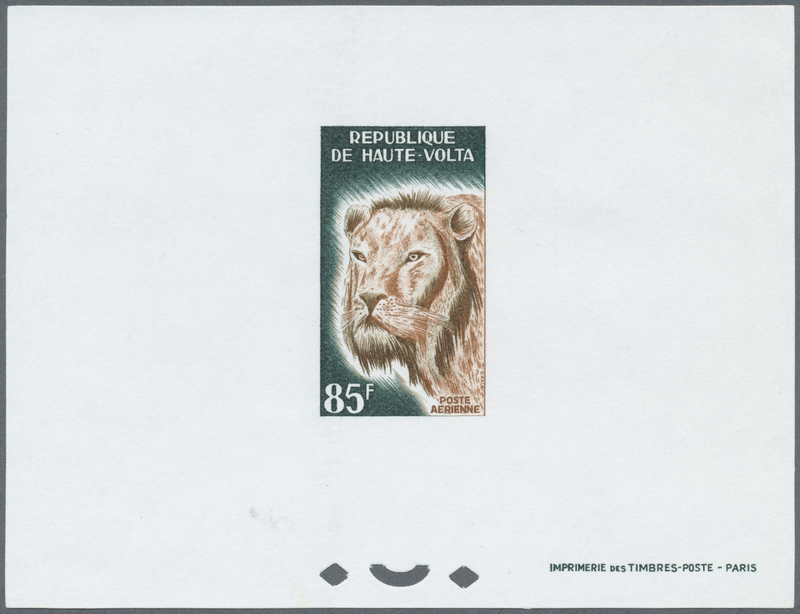 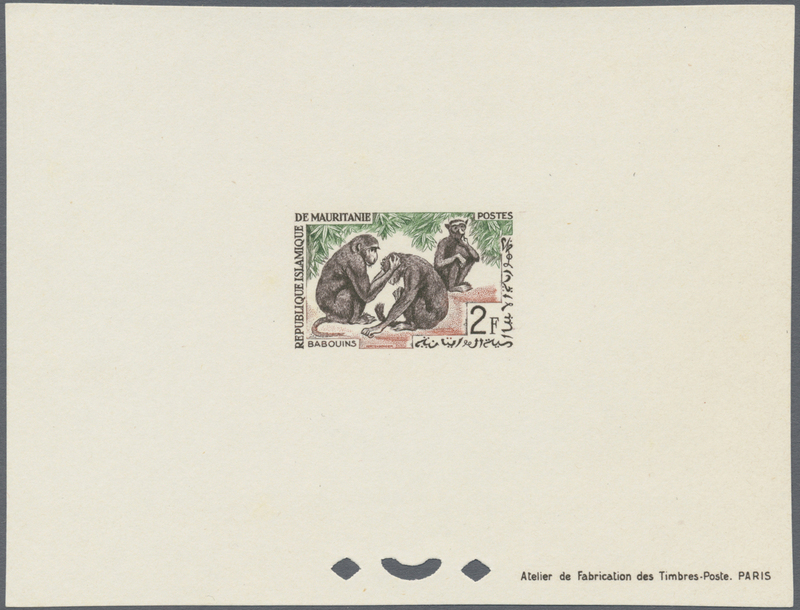 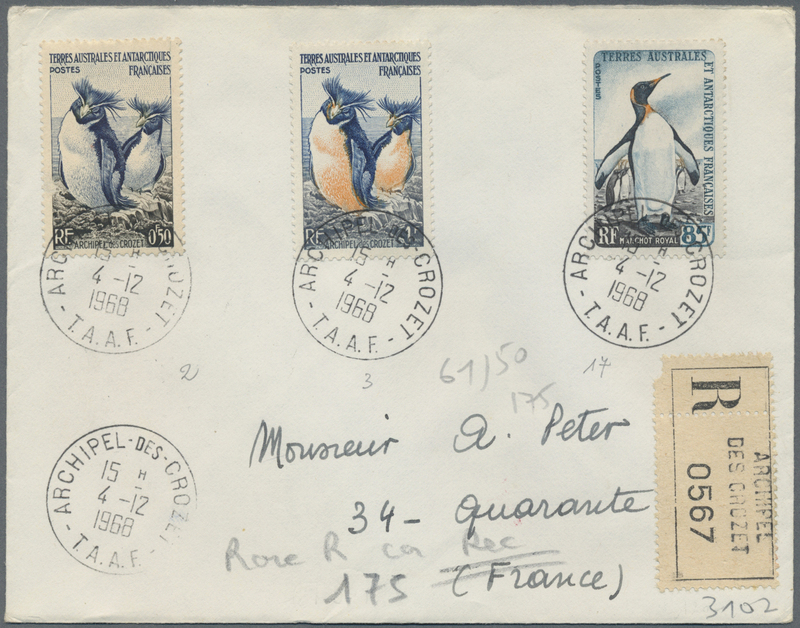 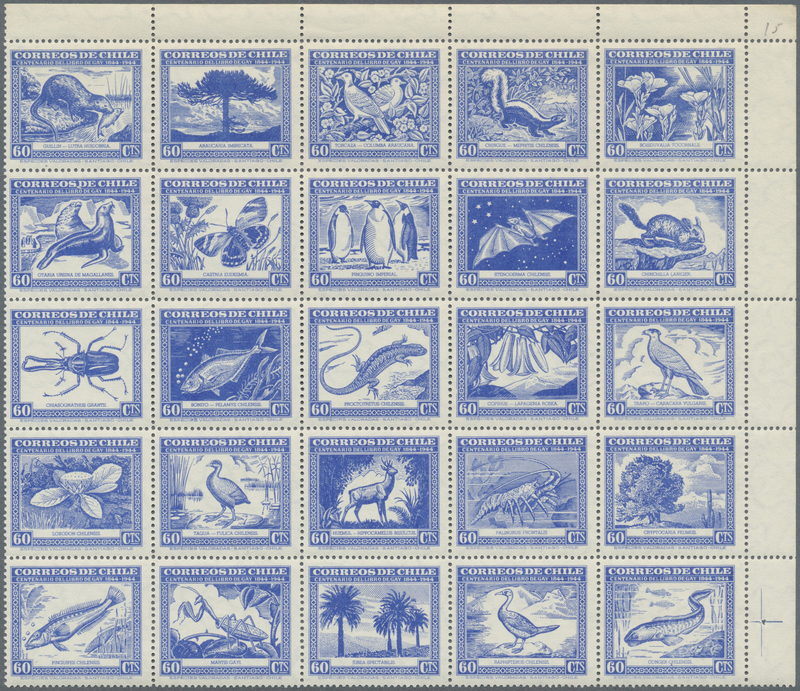 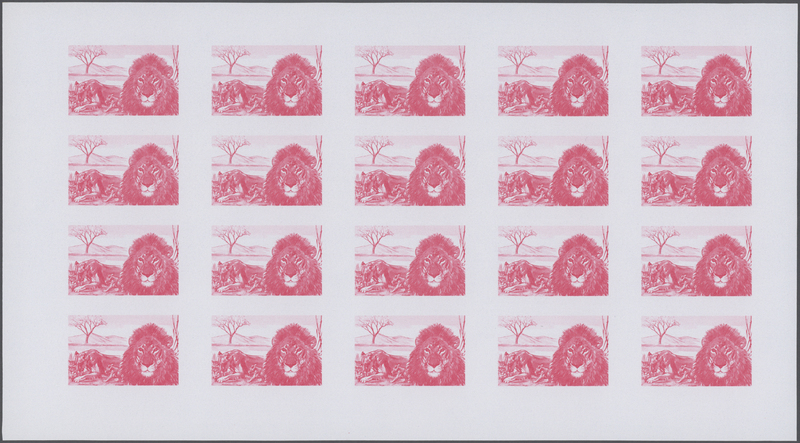 1989, TUNISIA: Animals complete IMPERFORATE set of two with 250m. 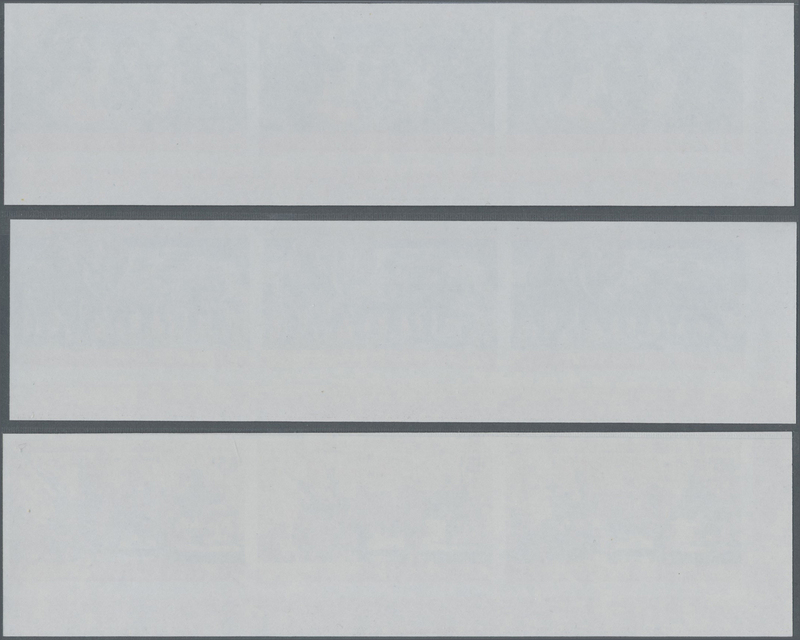 Turtle and 350m. 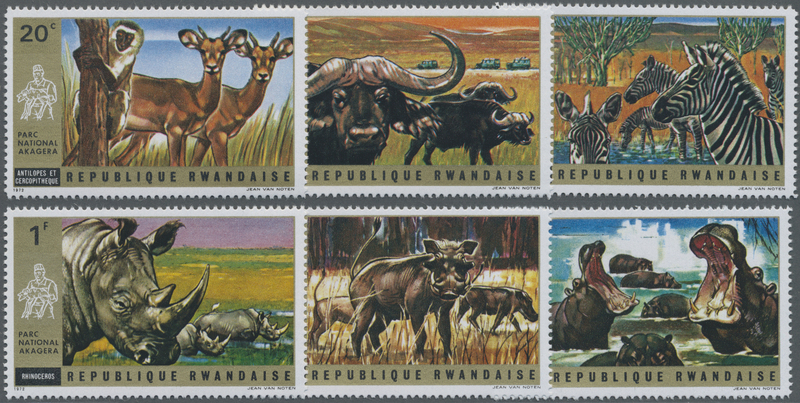 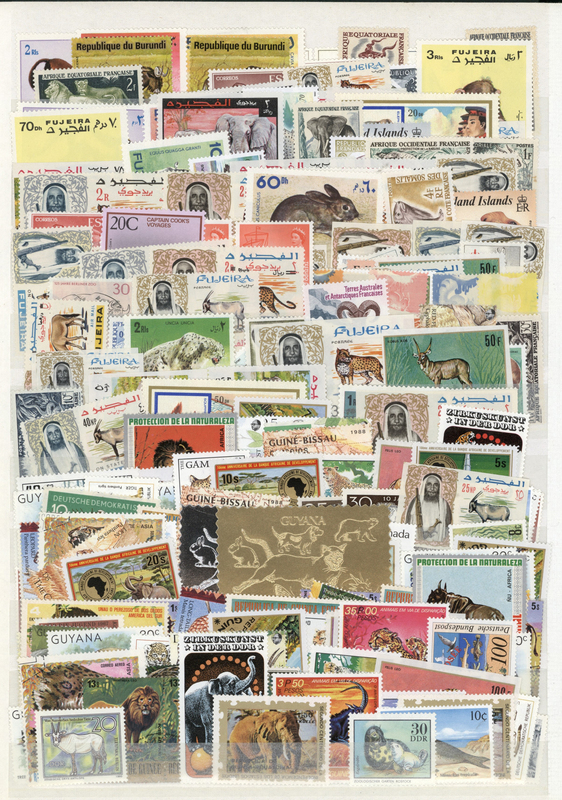 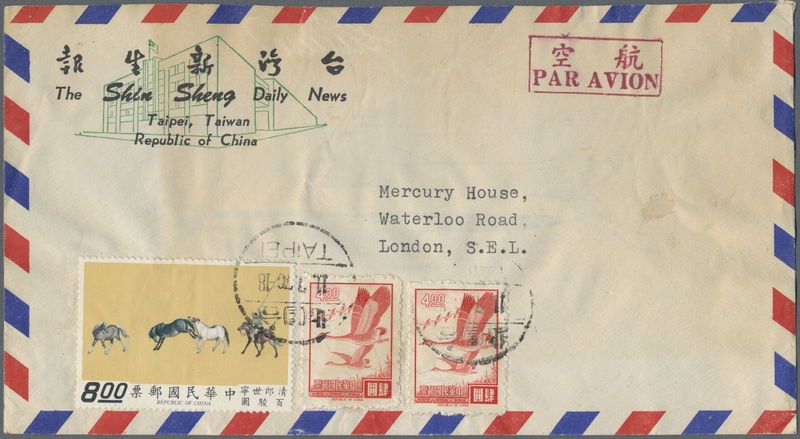 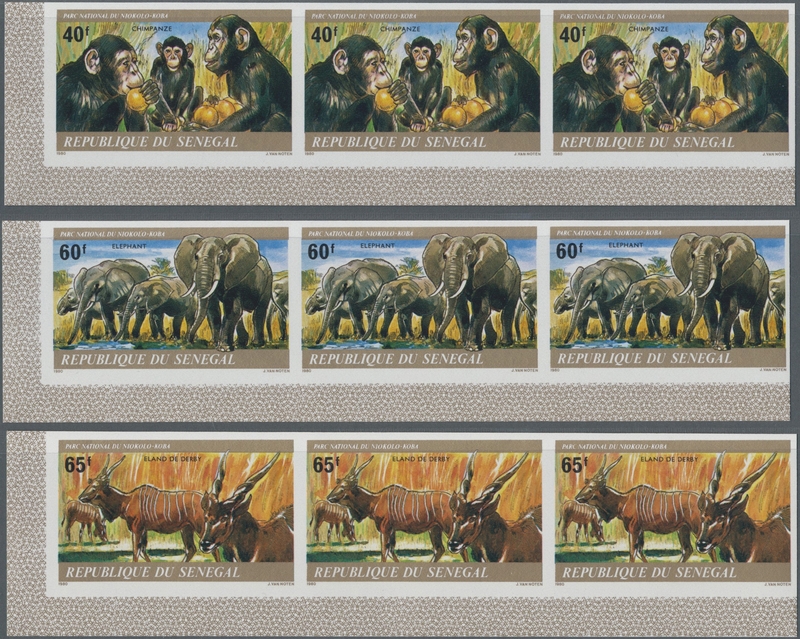 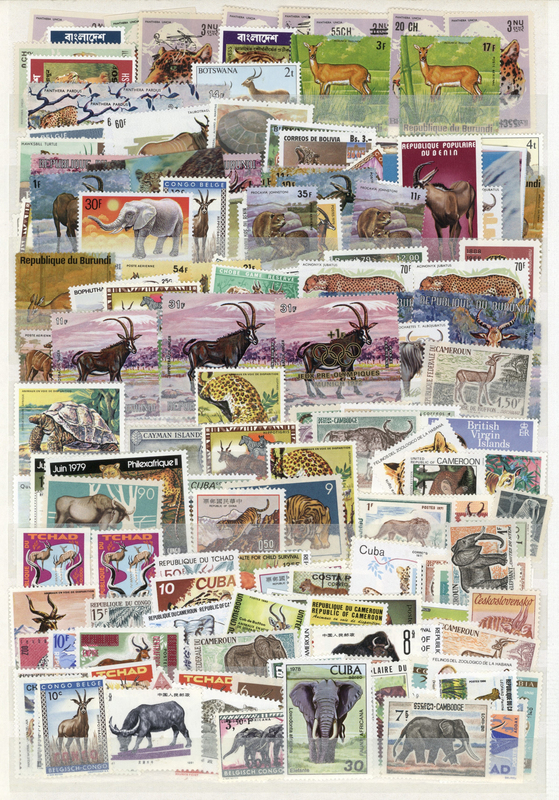 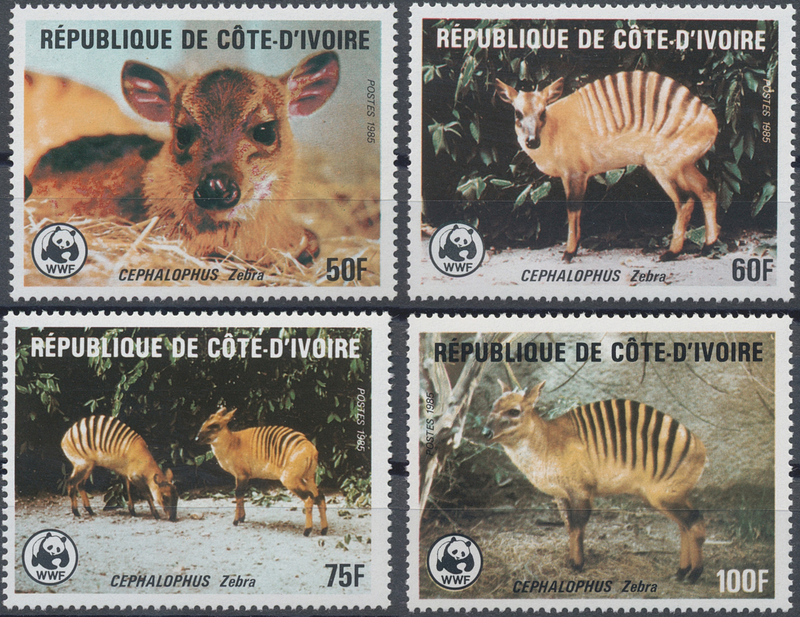 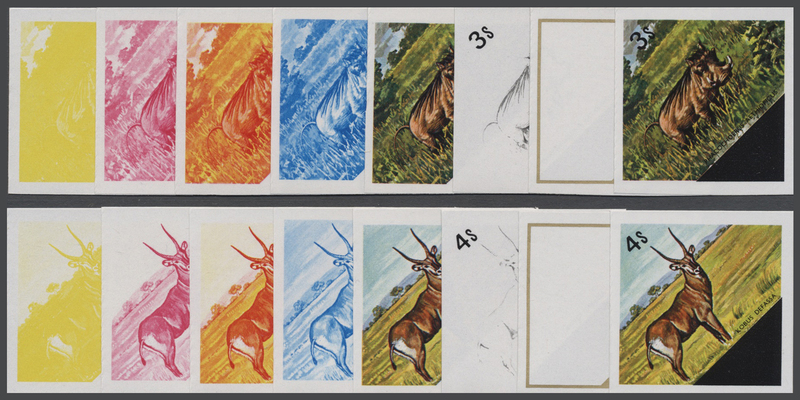 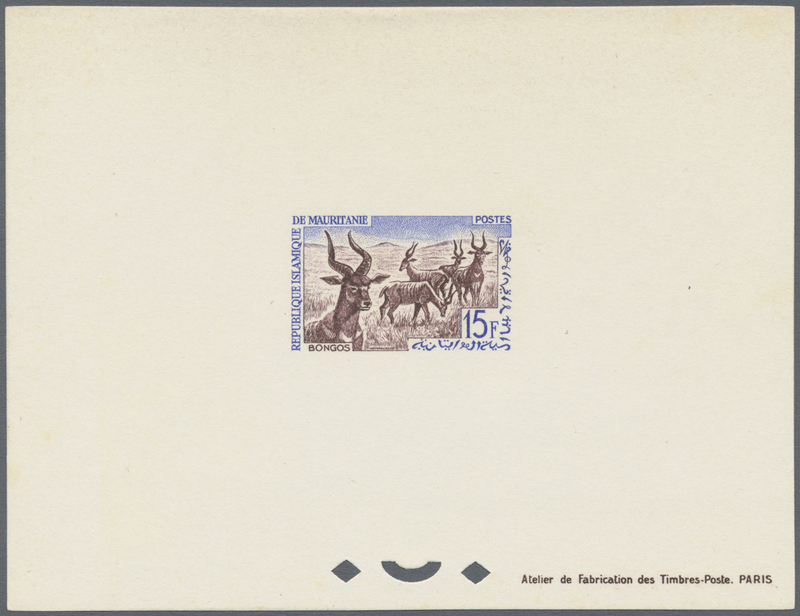 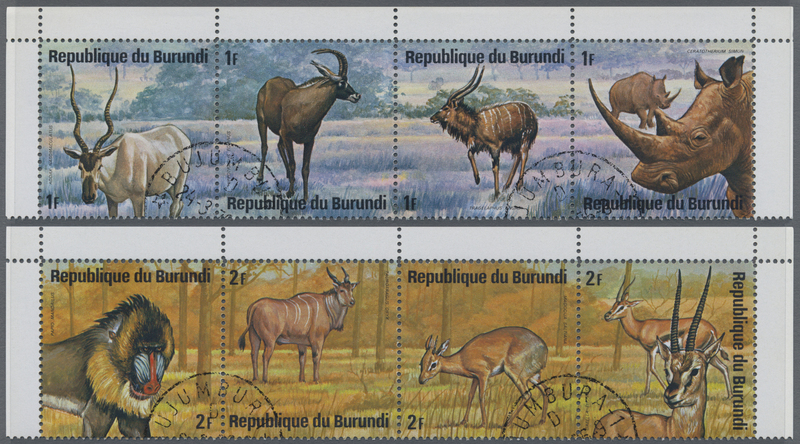 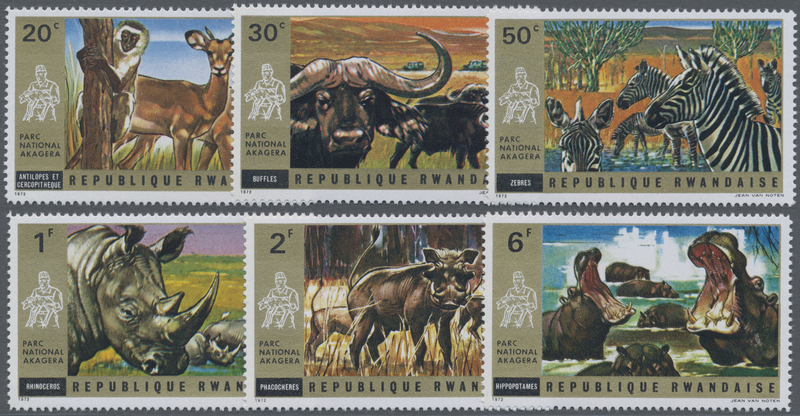 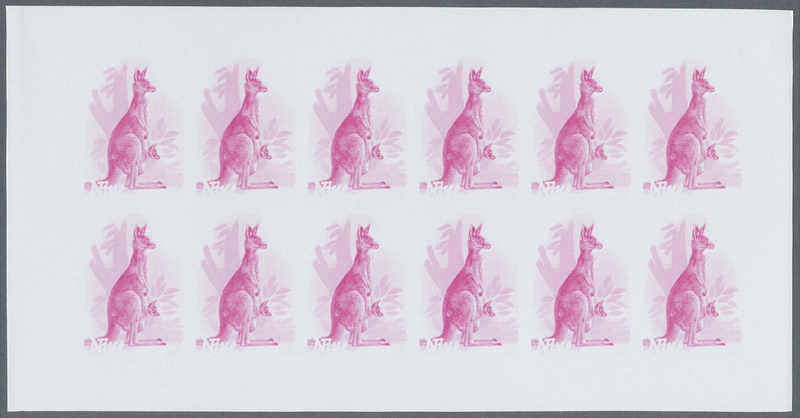 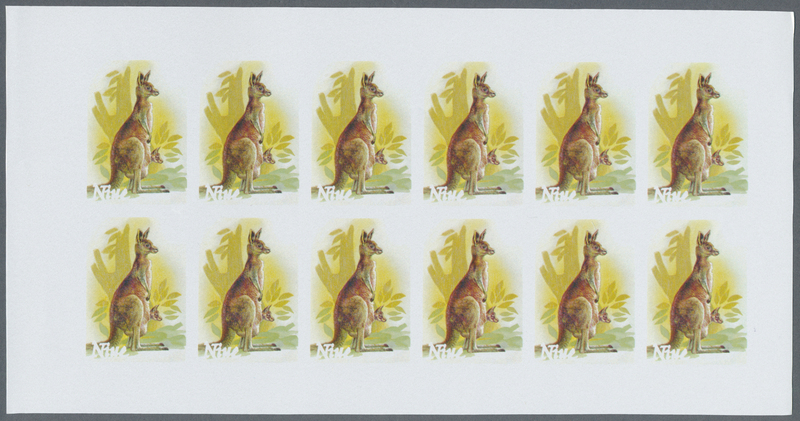 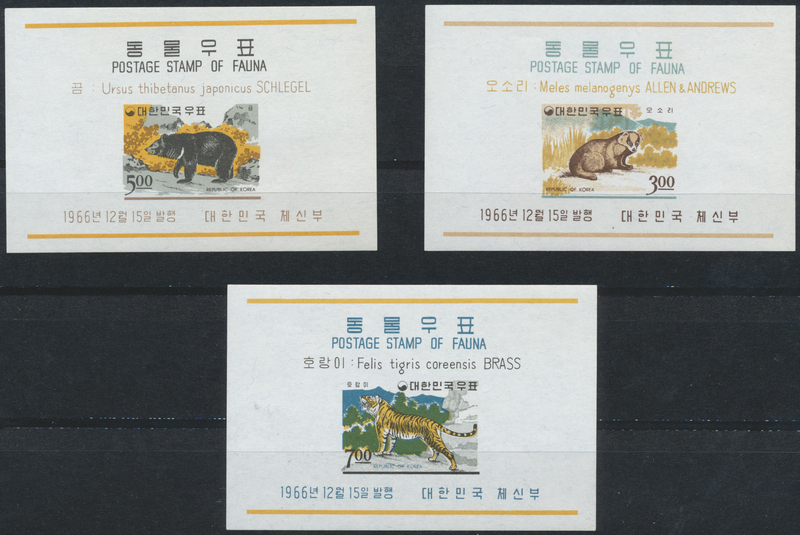 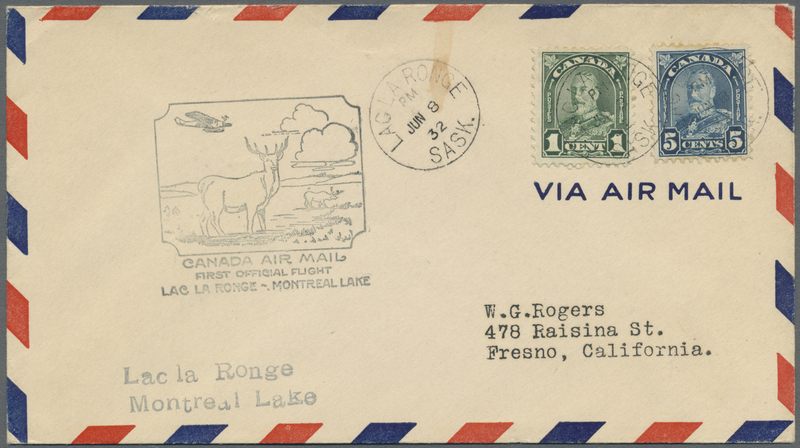 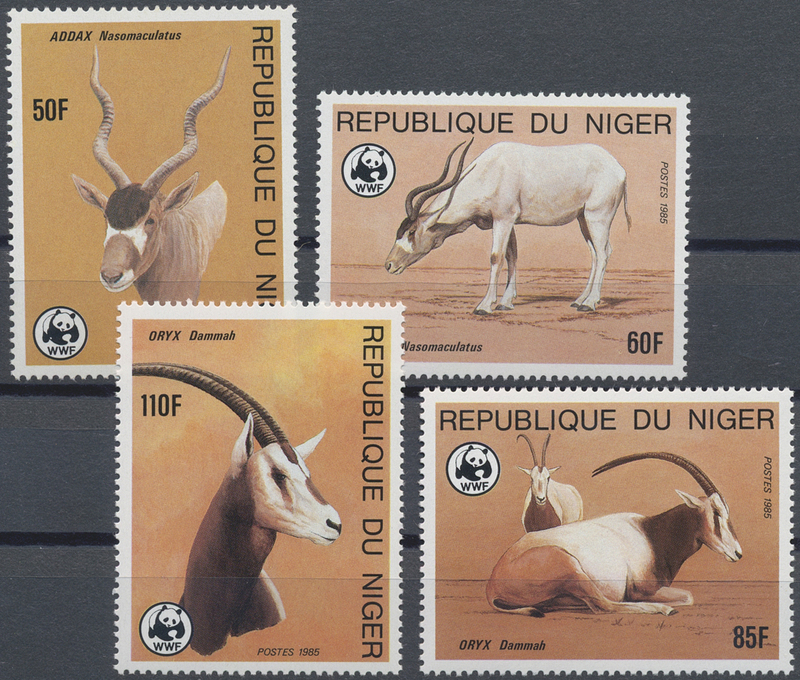 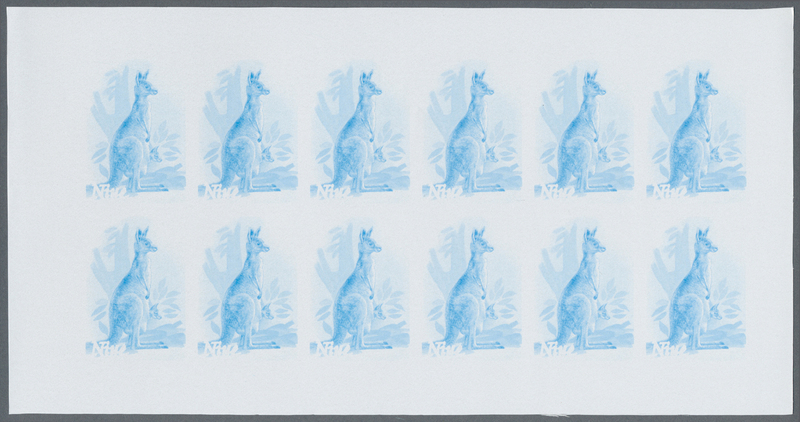 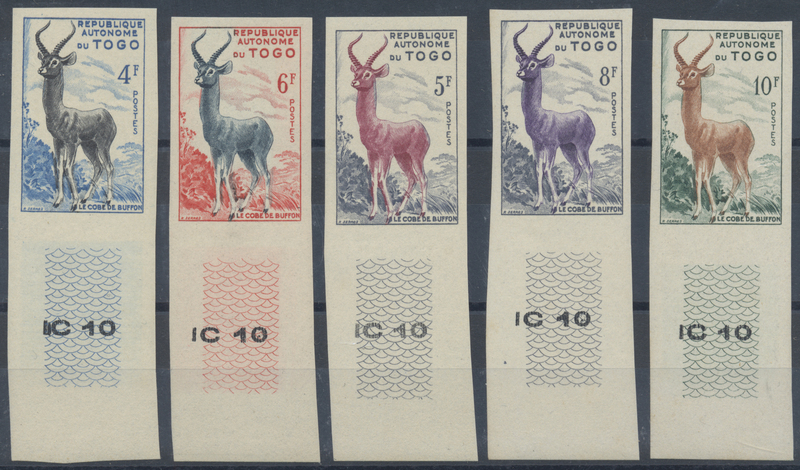 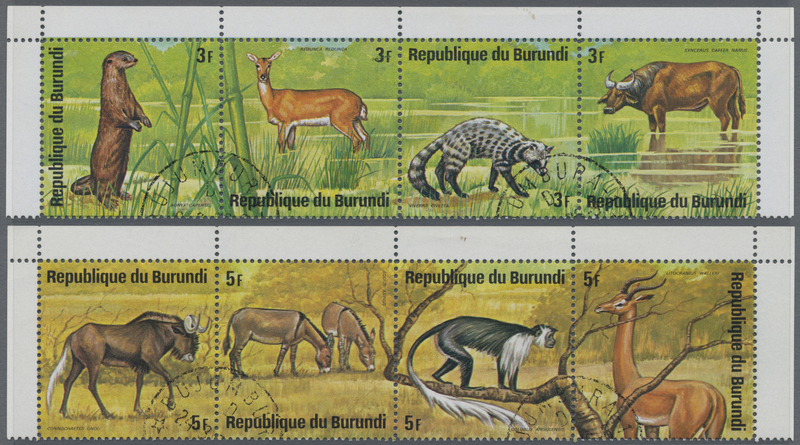 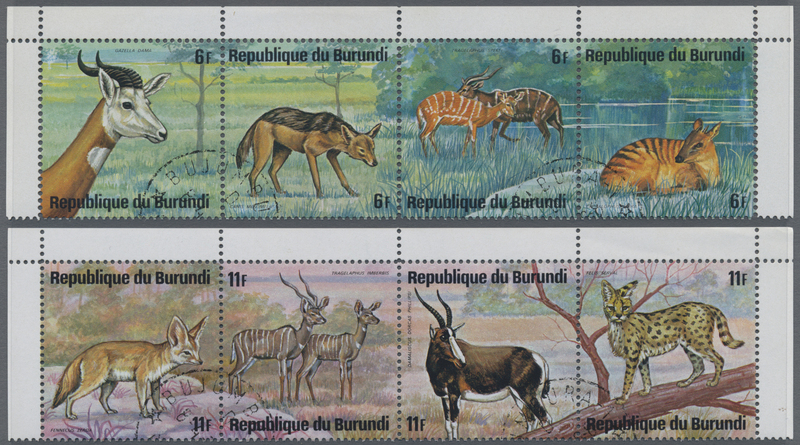 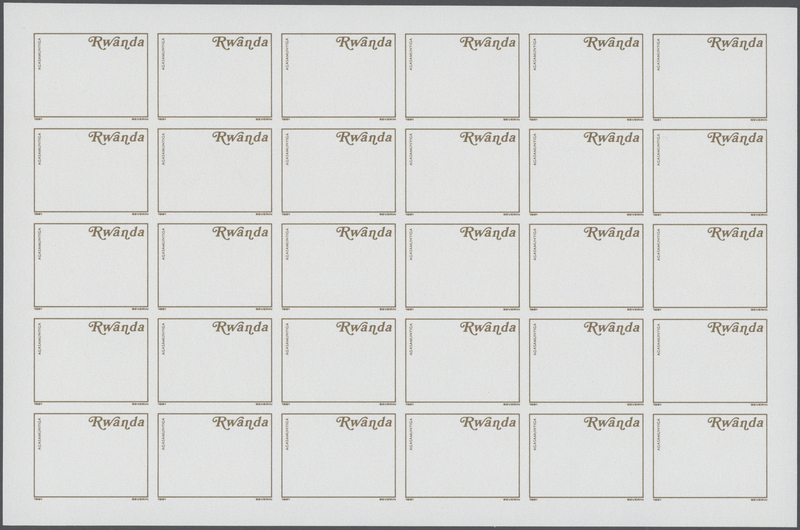 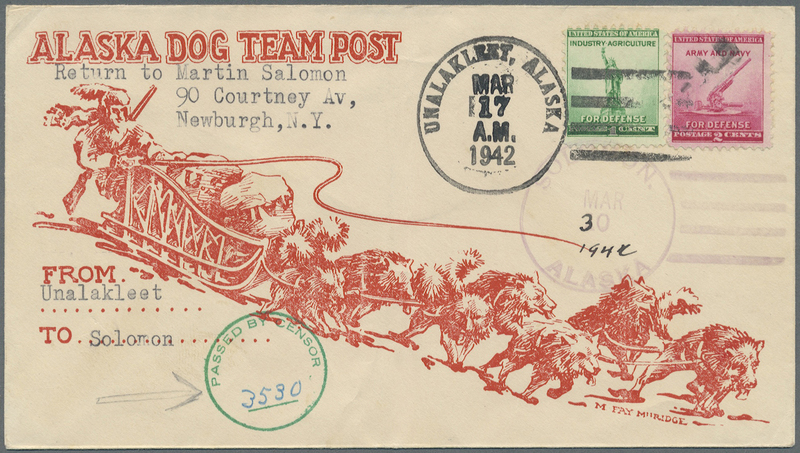 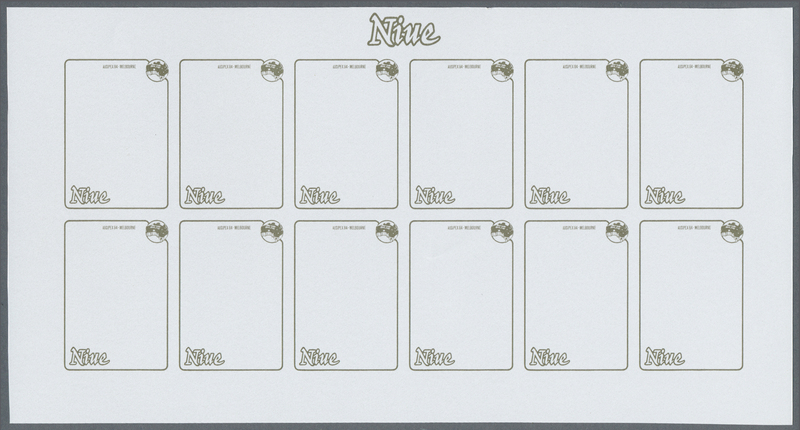 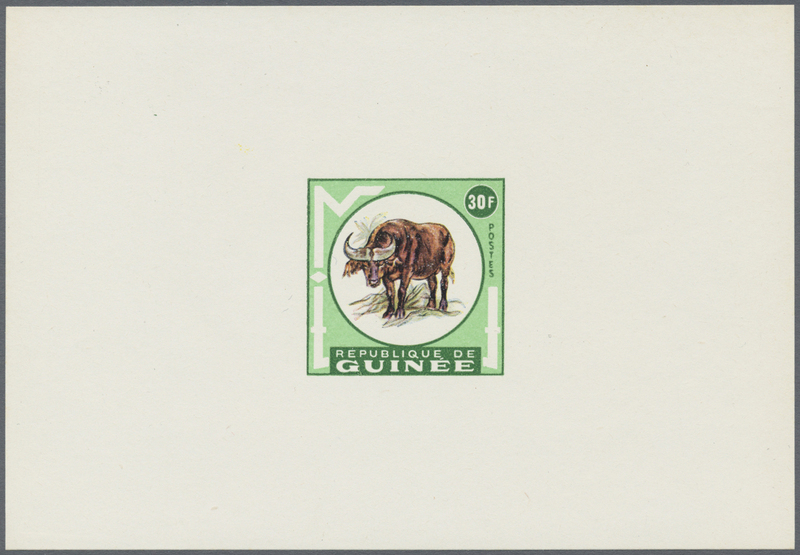 Oryx antelope in a lot with about 250 sets mostly in large blocks/part sheets, mint never hinged, Mi. 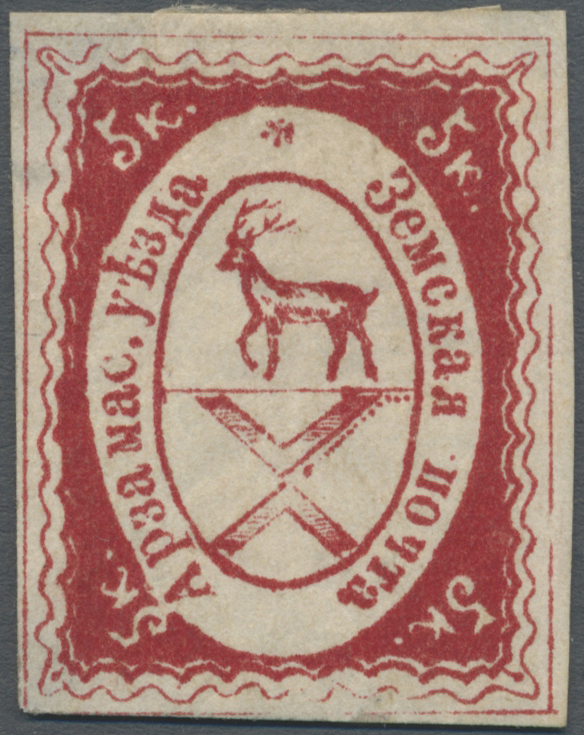 1194/95 var.